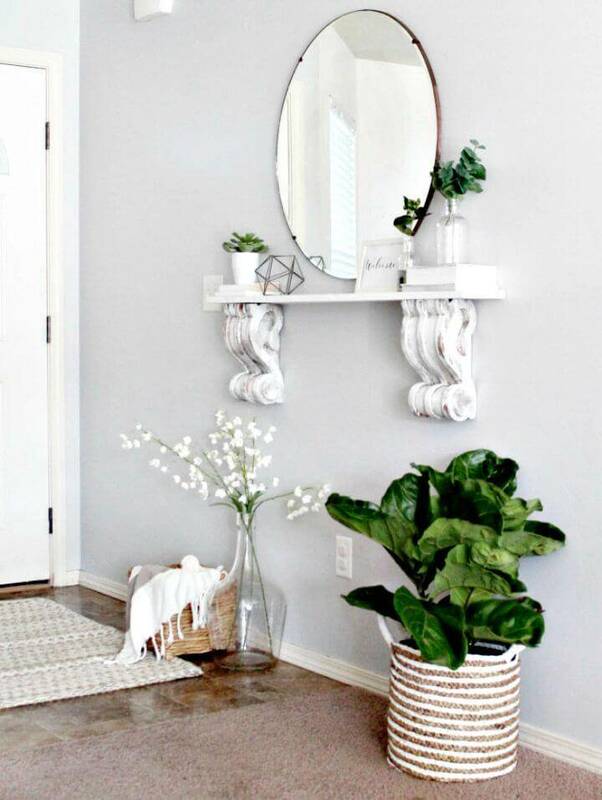 In the interior home decors, the organized entryways have a great reputation, and they also have a great historical past! 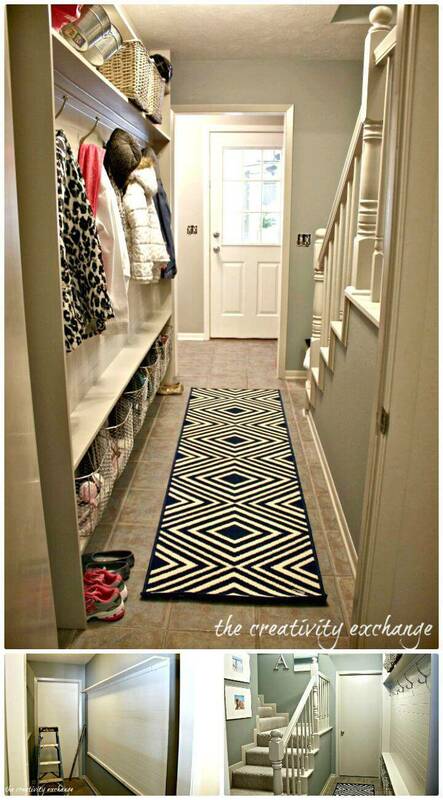 They just help pleasing the guests and new visitors as they organized entrances will make the first impression of your home! 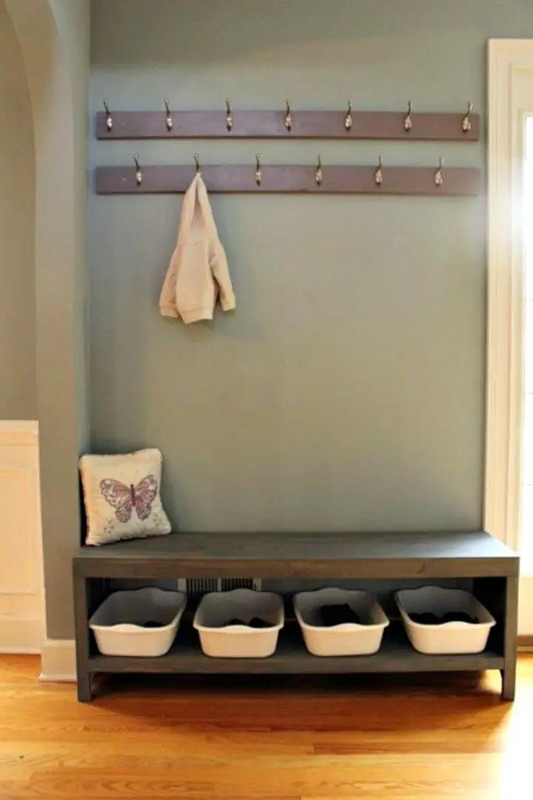 The look of any entrance you intend to get modern and impressive will just remain incomplete until you organize all the entryway clutters and this will demand a better entryway organization! 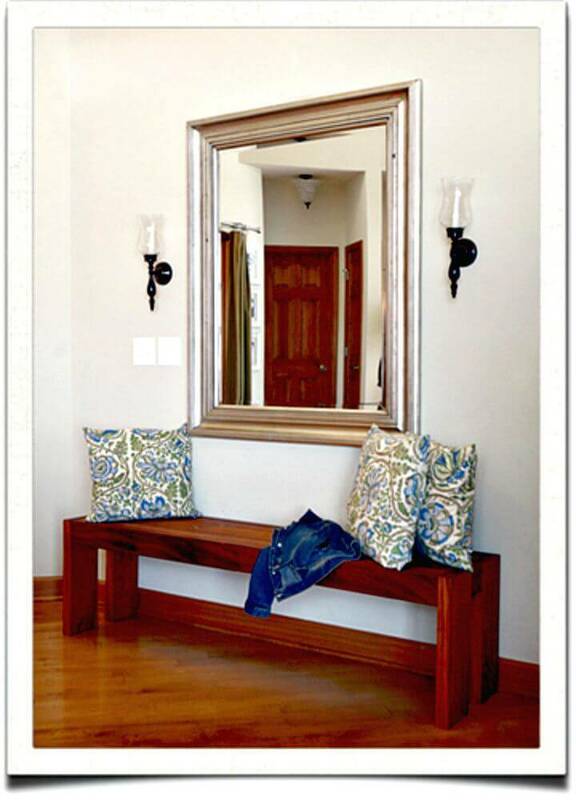 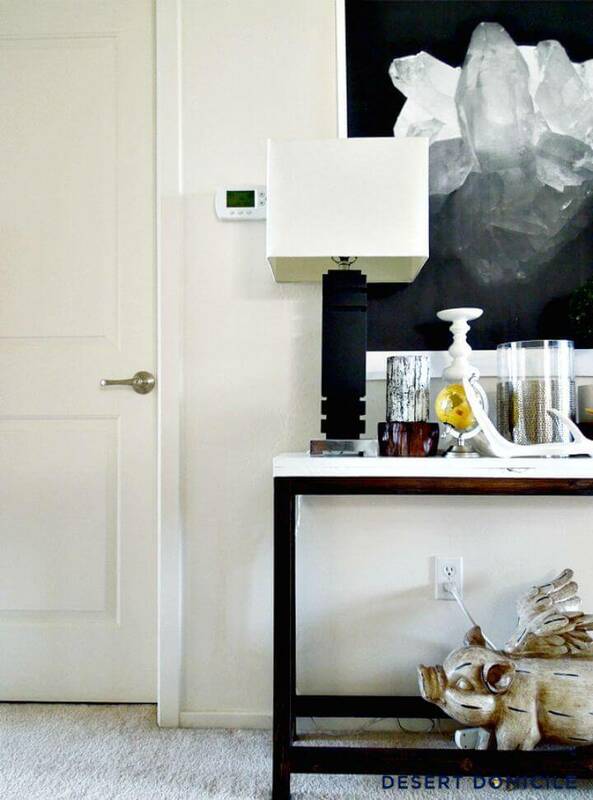 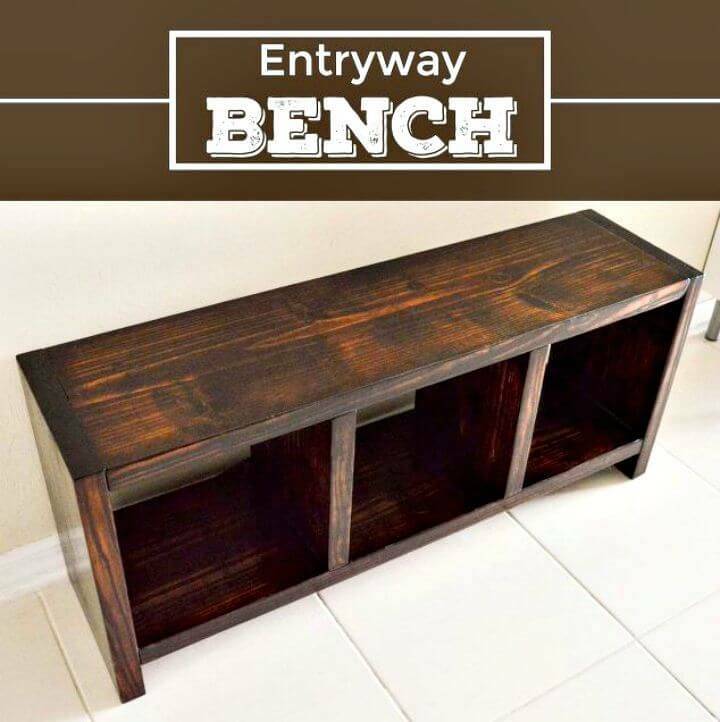 The entry tables and custom entryway storage units may come in handy to spruce up the different entryway environments! 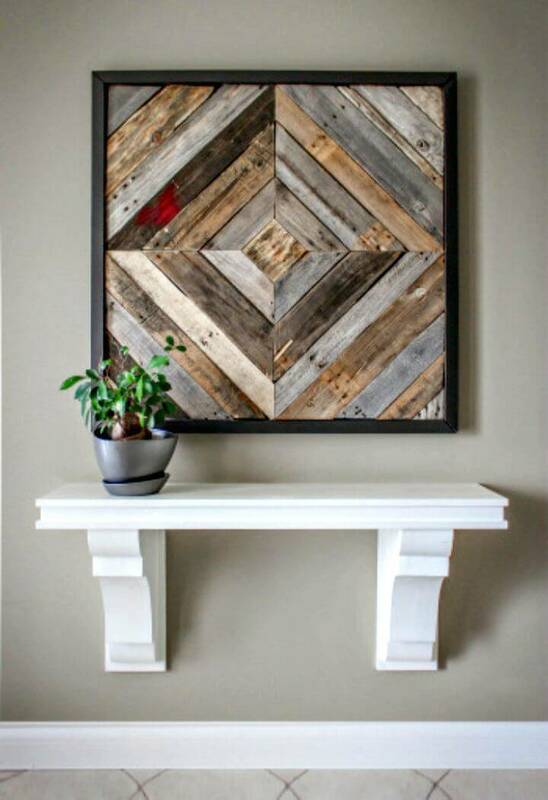 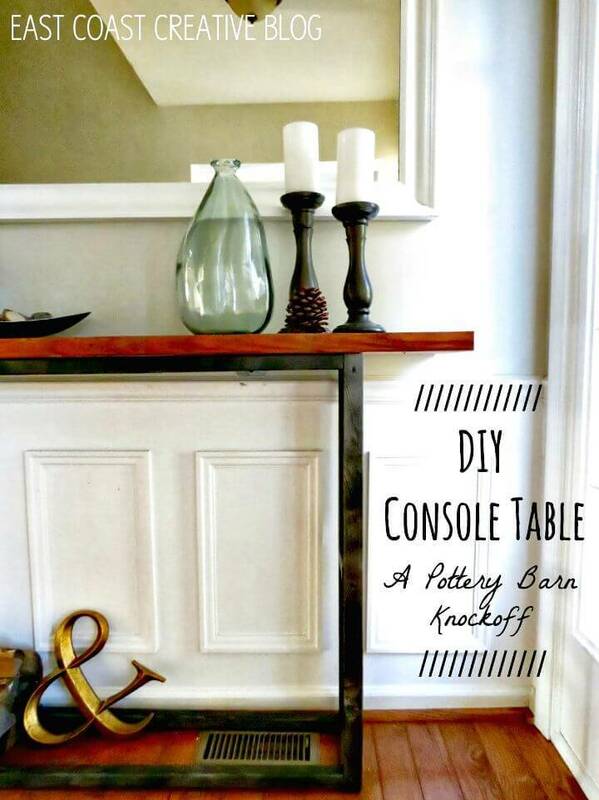 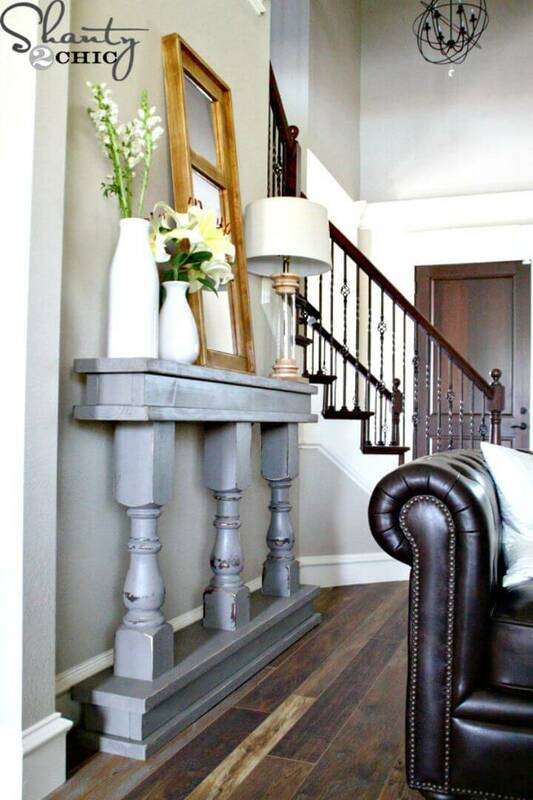 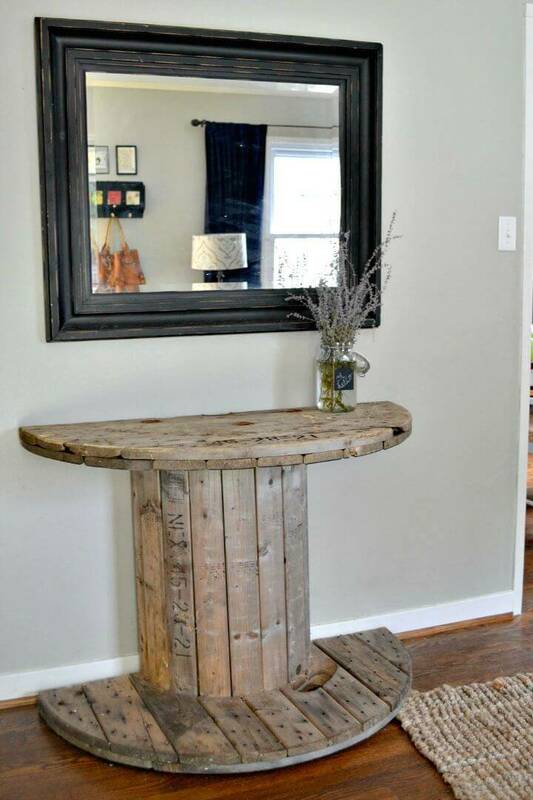 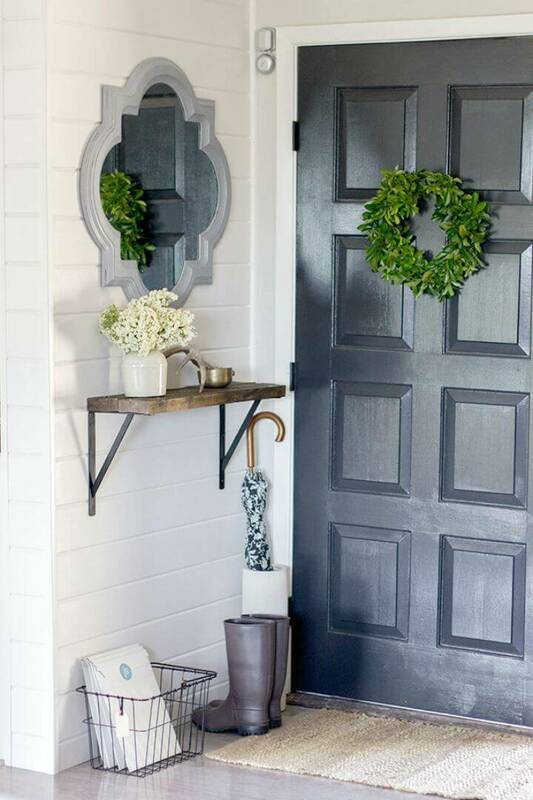 Getting a custom look of your entryway in can cause a big load on your wallet, but you can save lots of your costs by shaking hands with DIY PROJECTS! 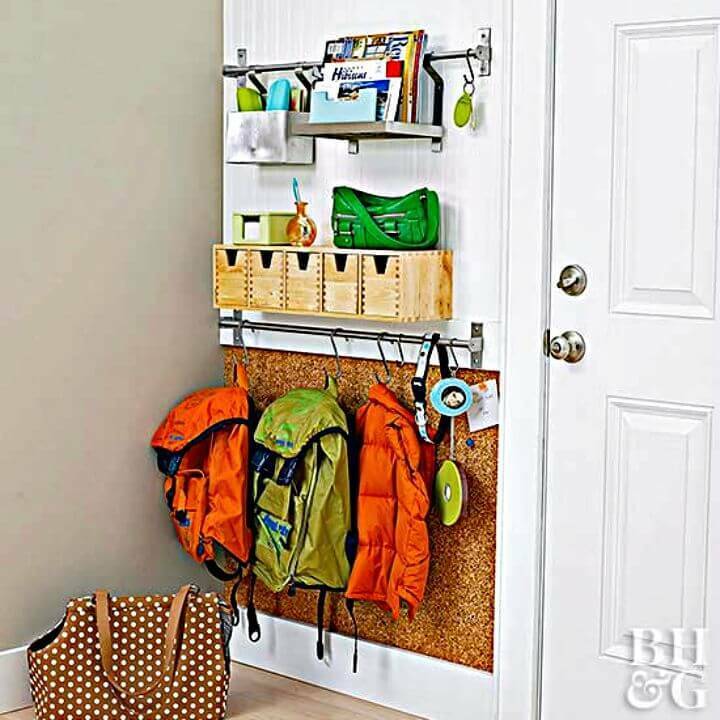 So, just choose the DIY Ideas as alternatives to gain a fantastic organized look of your entryways at lowest possible cost prices! 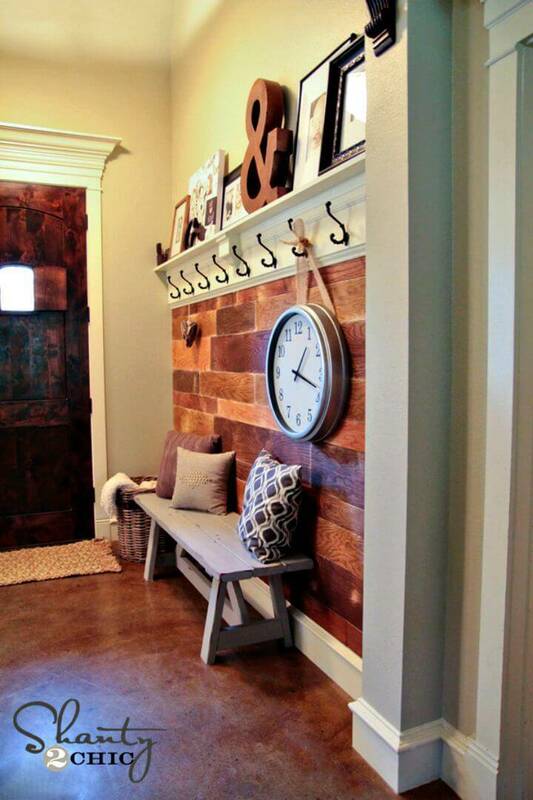 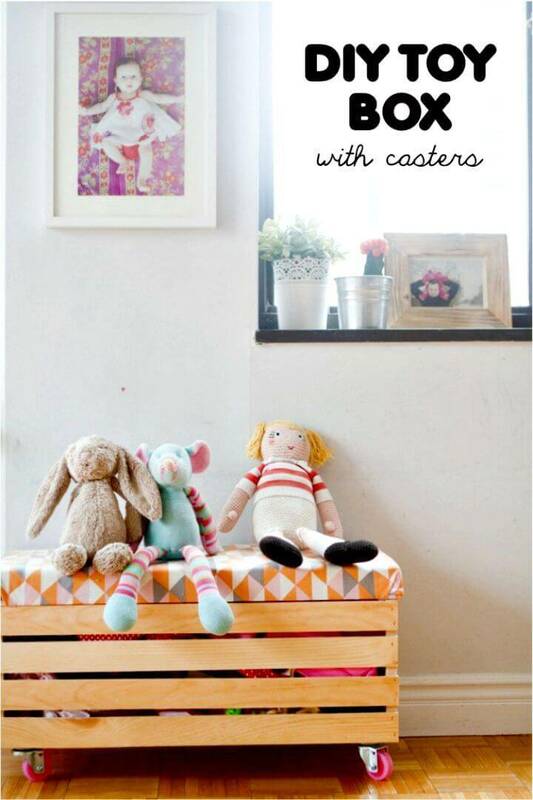 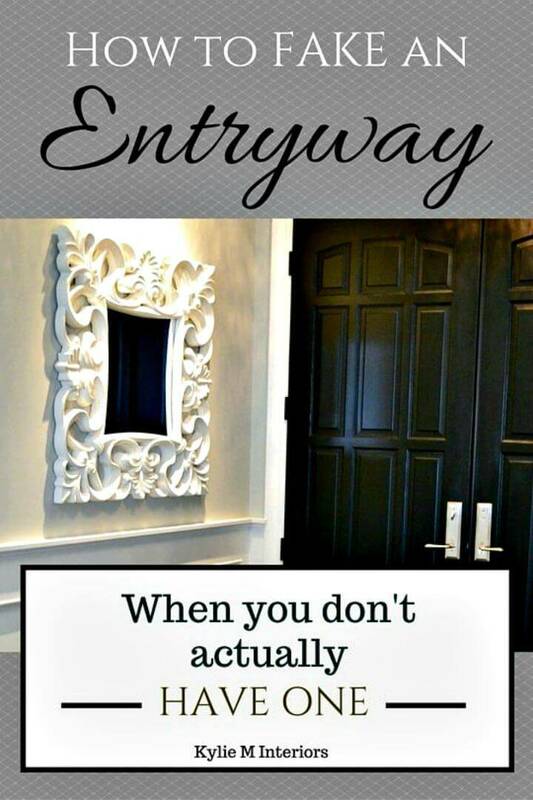 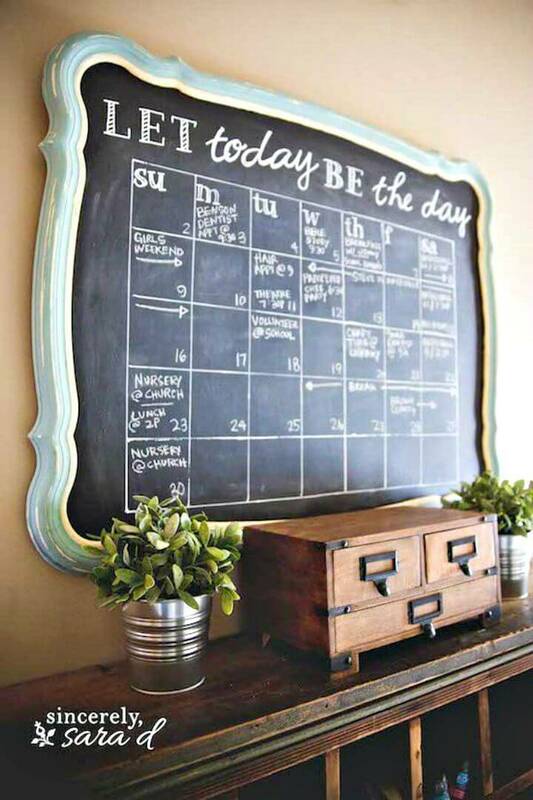 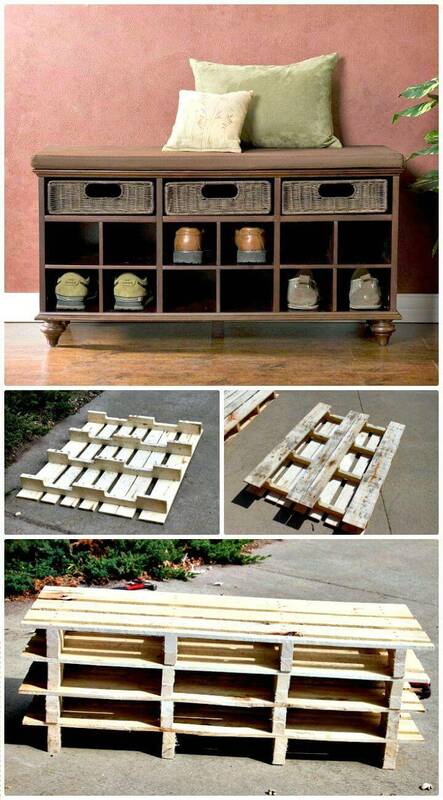 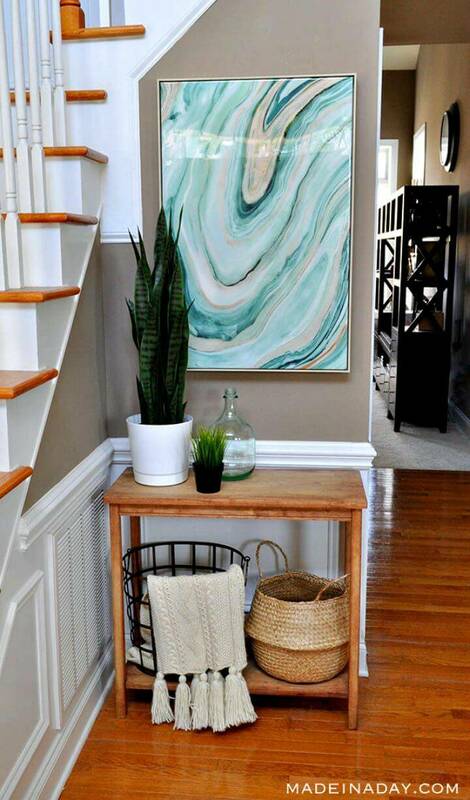 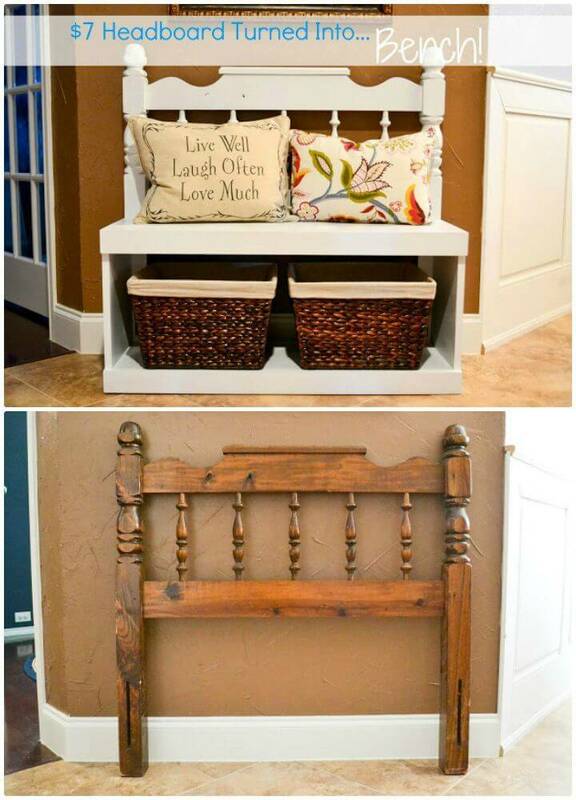 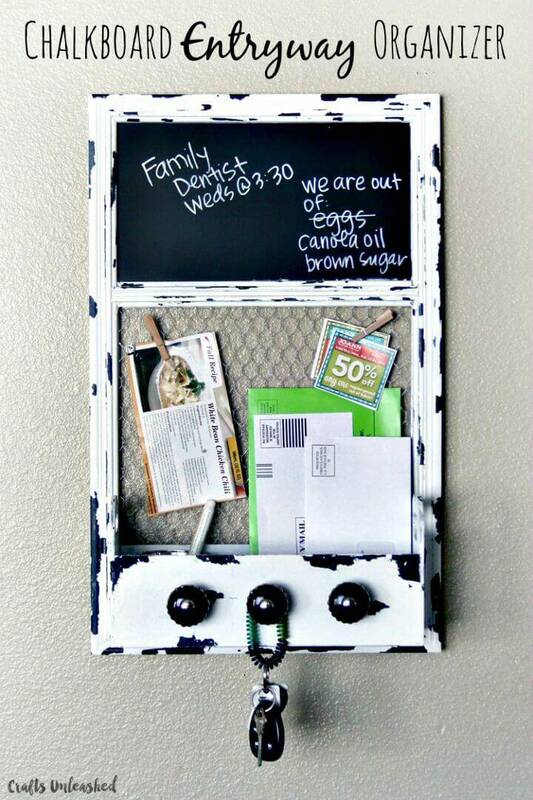 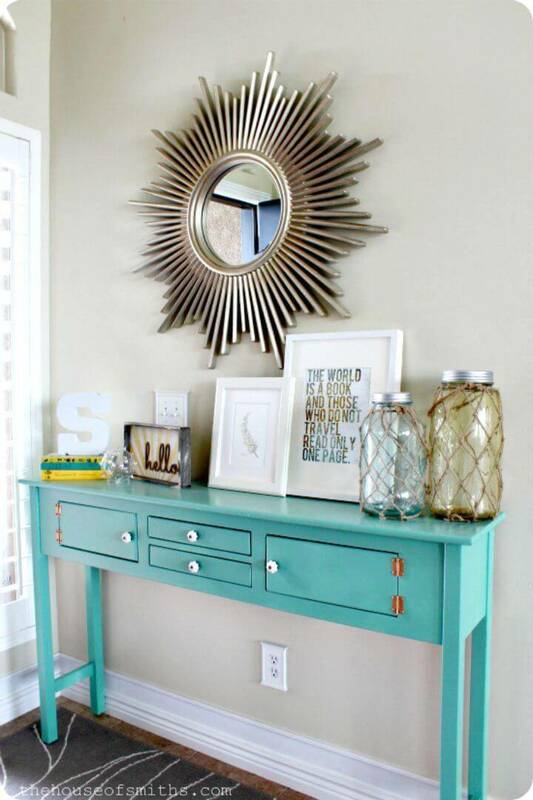 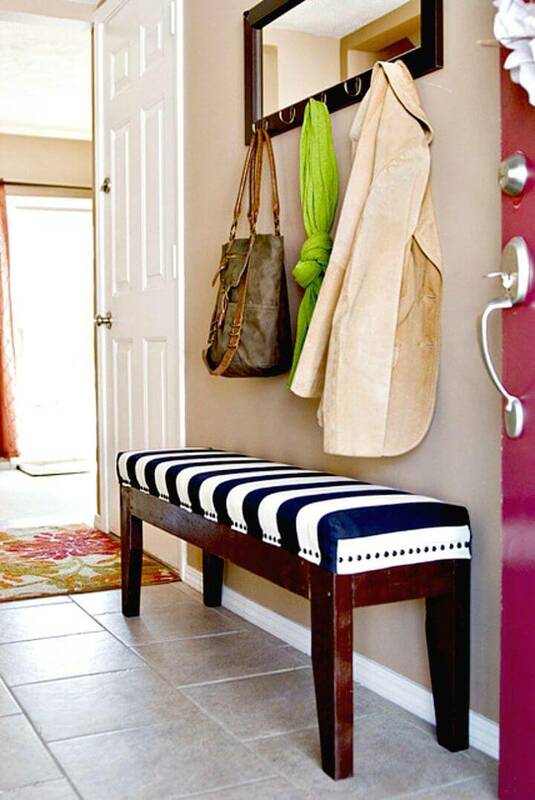 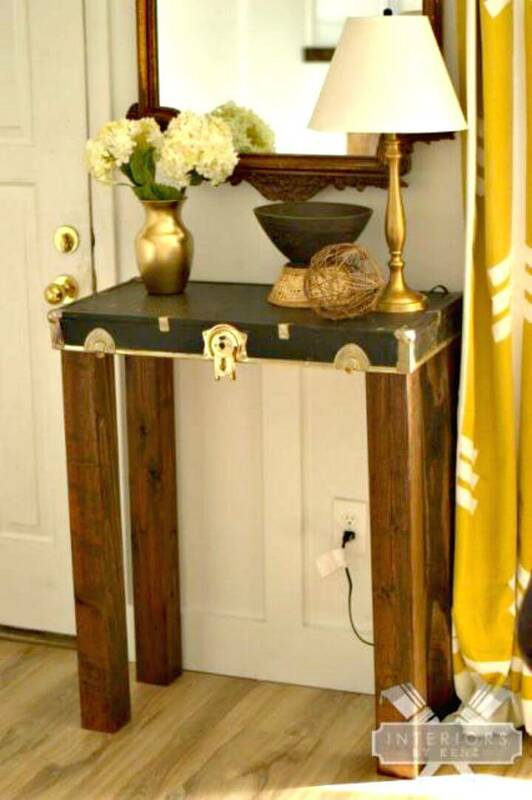 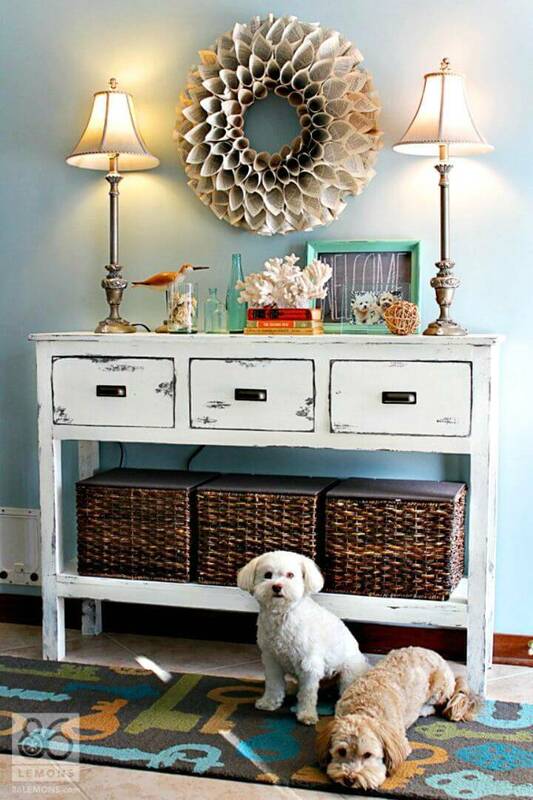 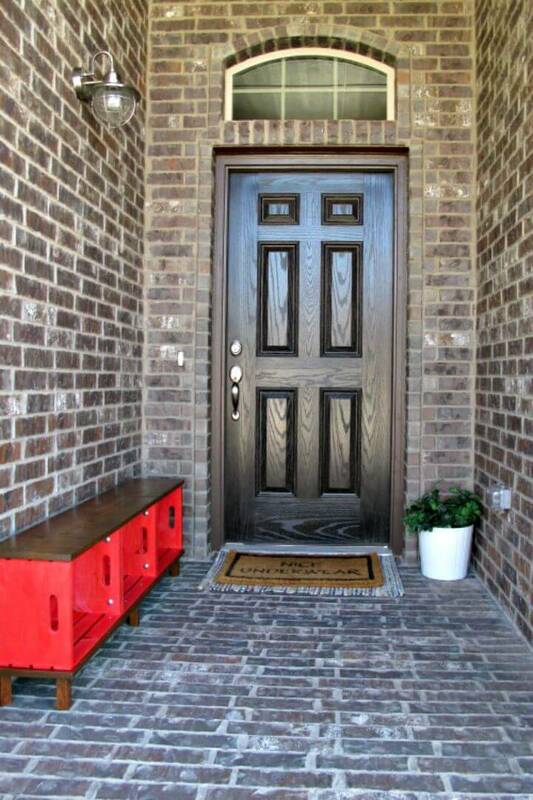 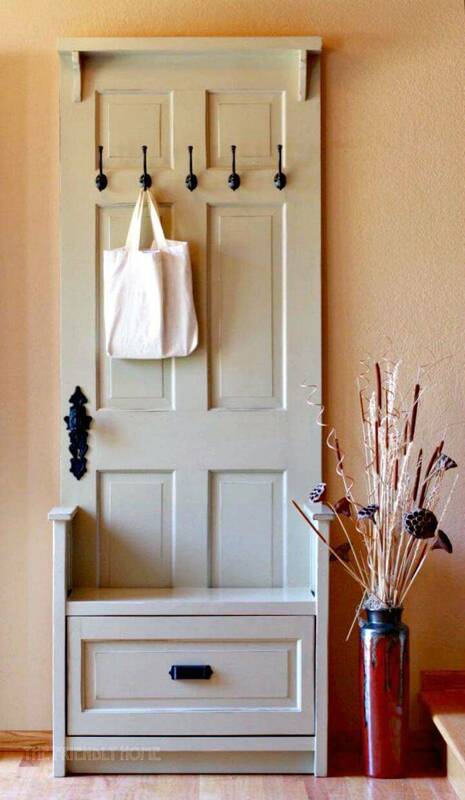 Check out here a huge list of 100 DIY Entryway Ideas that are fantastic and help jazz up any entrance! 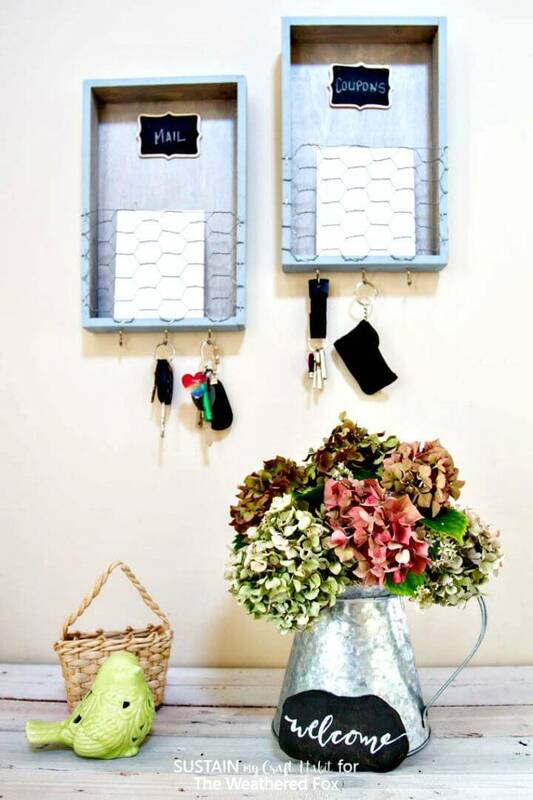 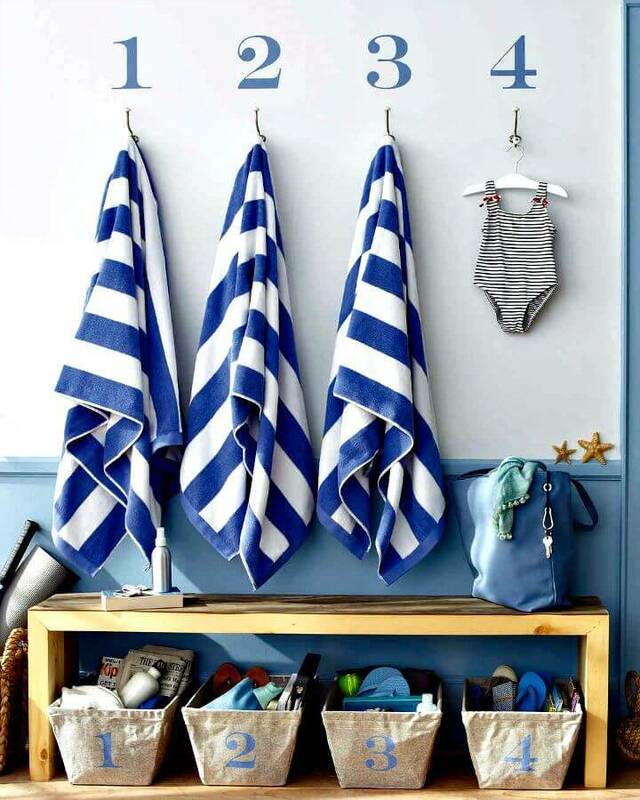 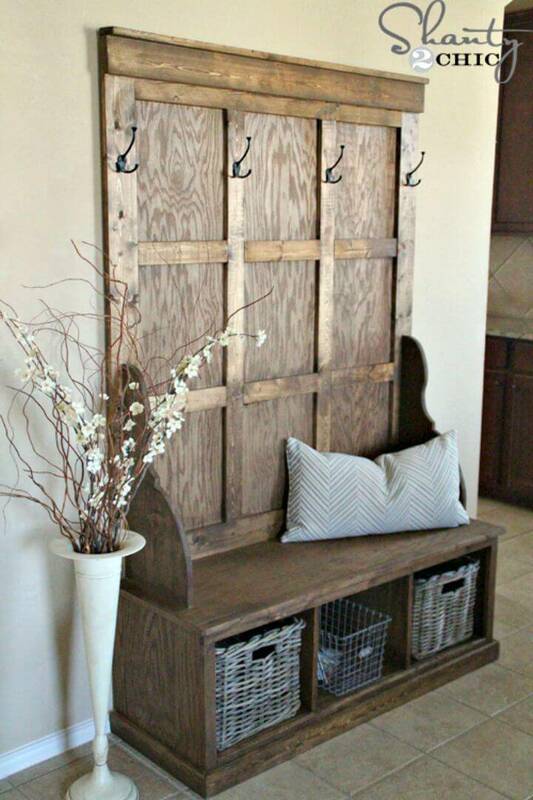 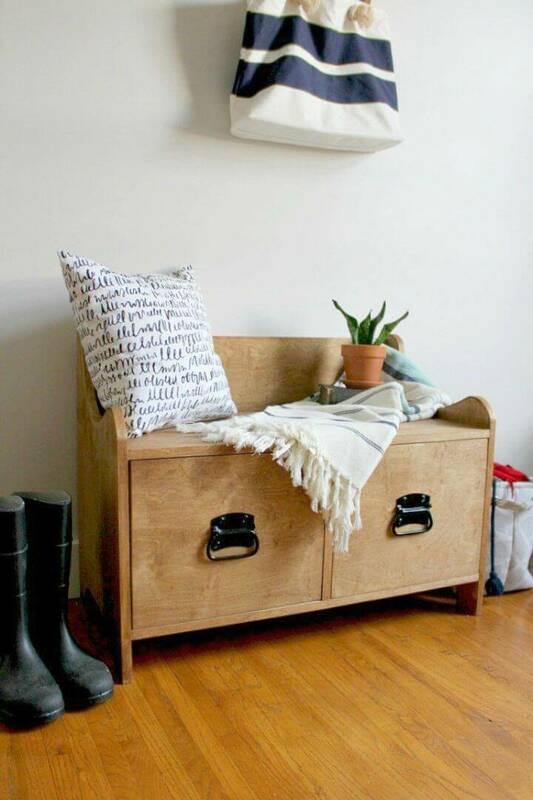 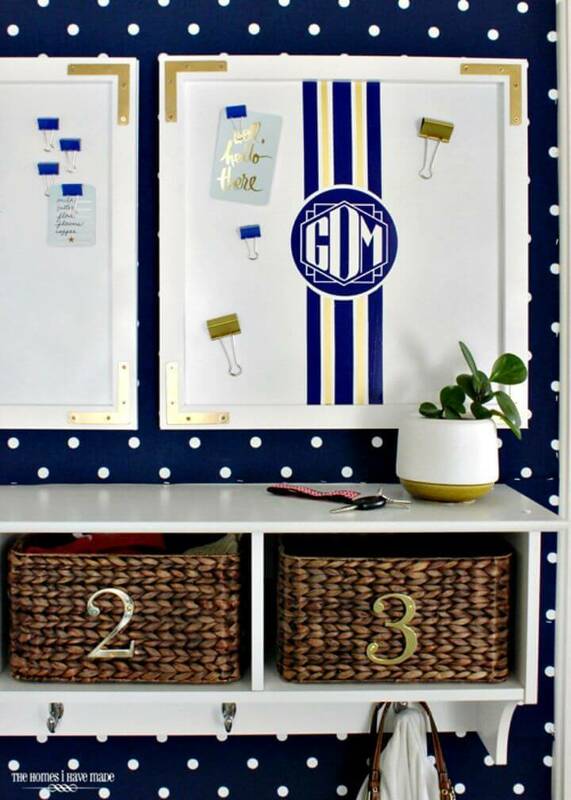 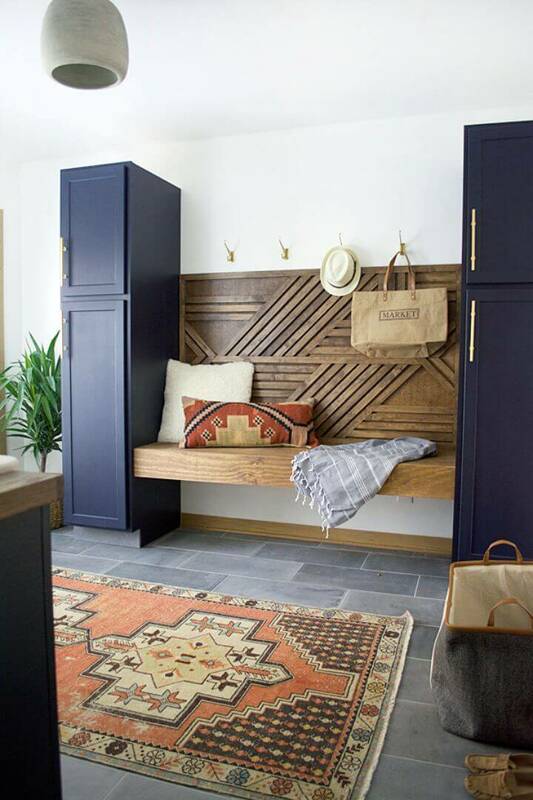 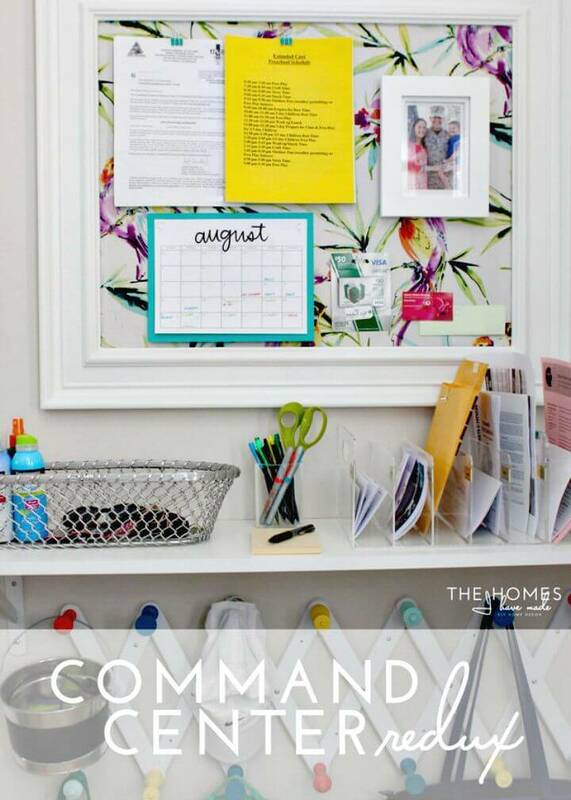 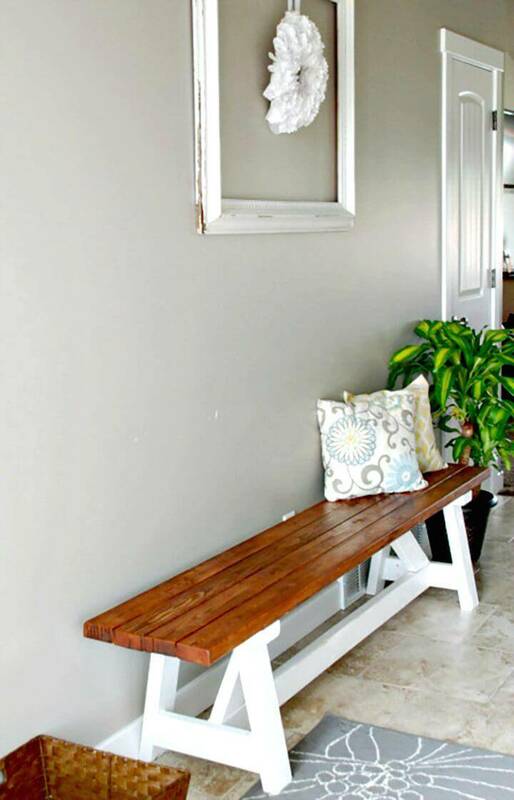 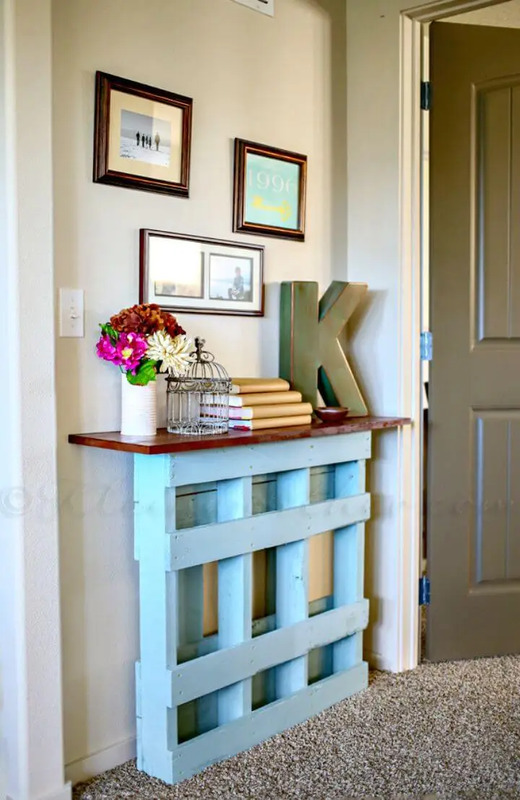 So, you can start organizing your entryways by getting a big help from these DIY entryway projects that are amazingly genius and would inspire your creativity too! 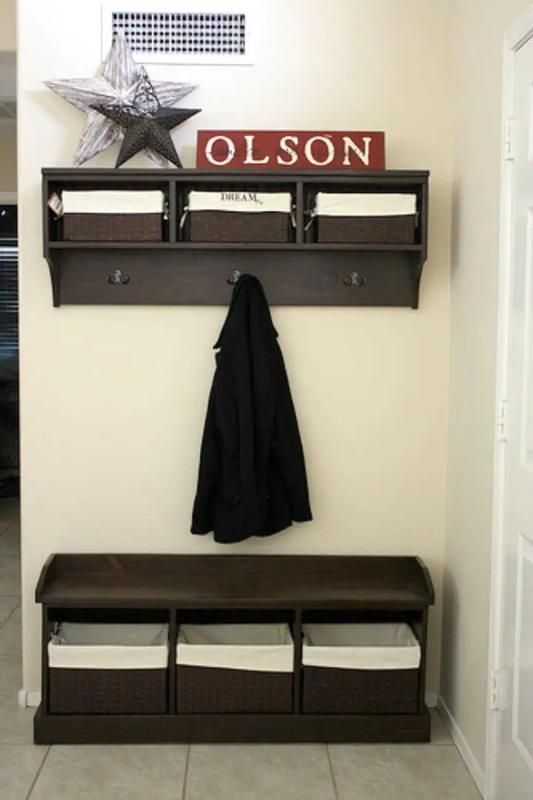 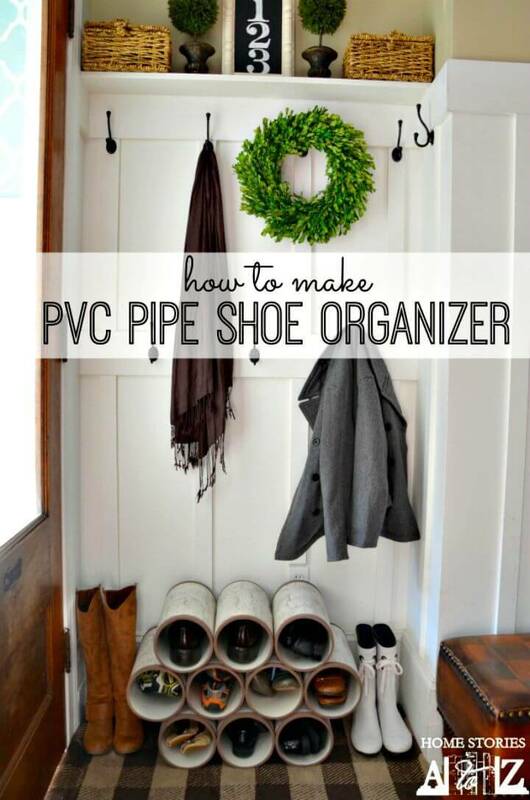 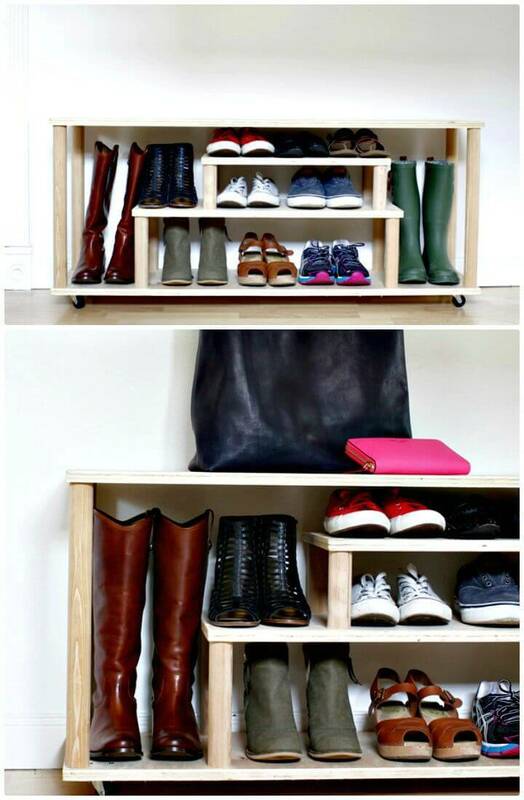 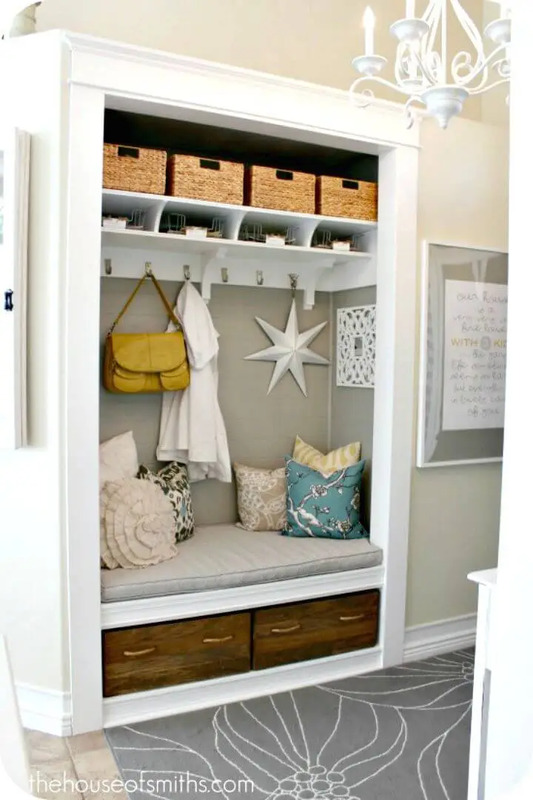 Build custom storage units for your entryway where shoes and other immediate items can be organized beautifully, a great idea to get your entry way clutter free, see an interesting storage unit given below! 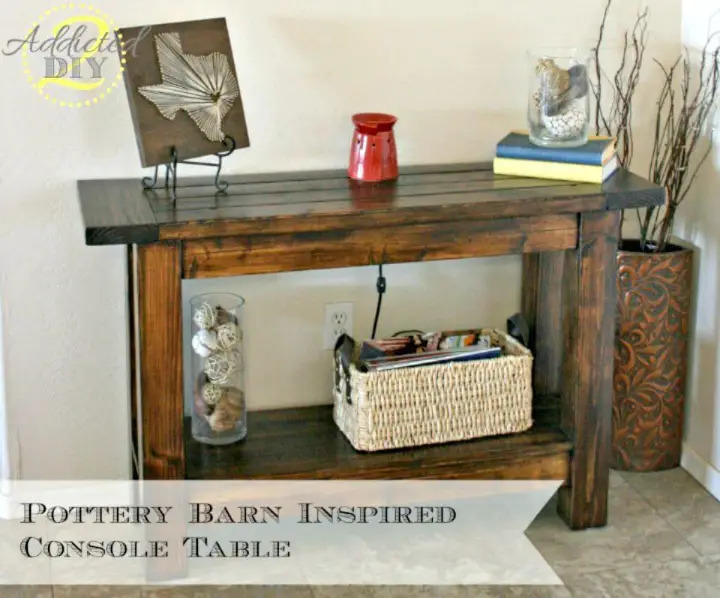 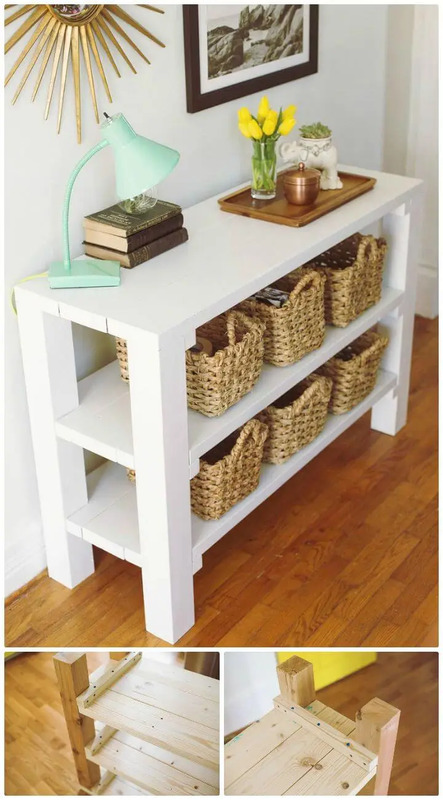 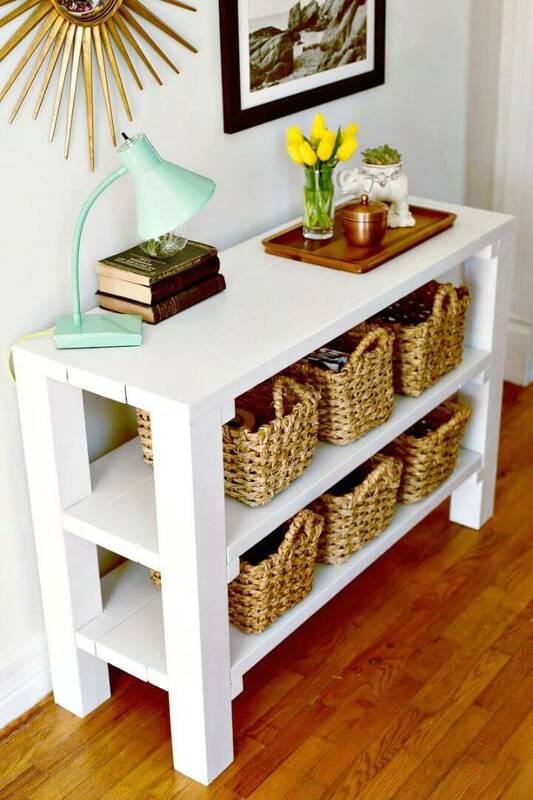 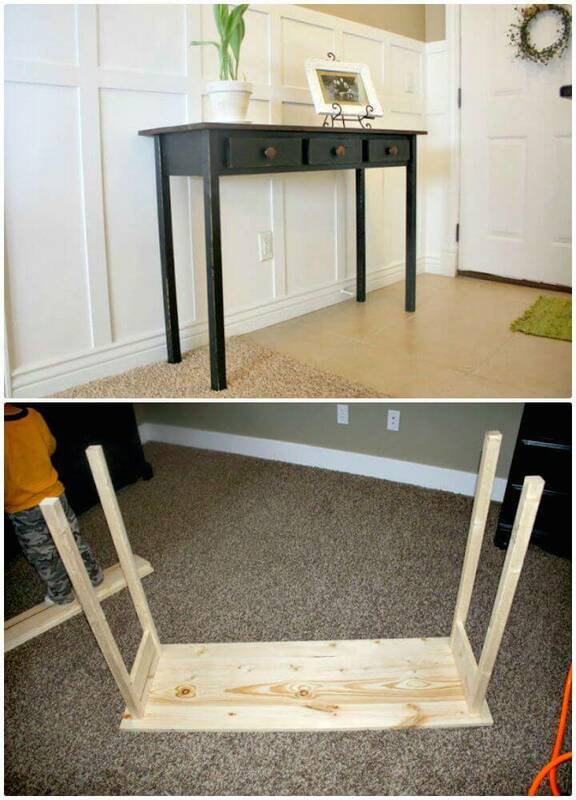 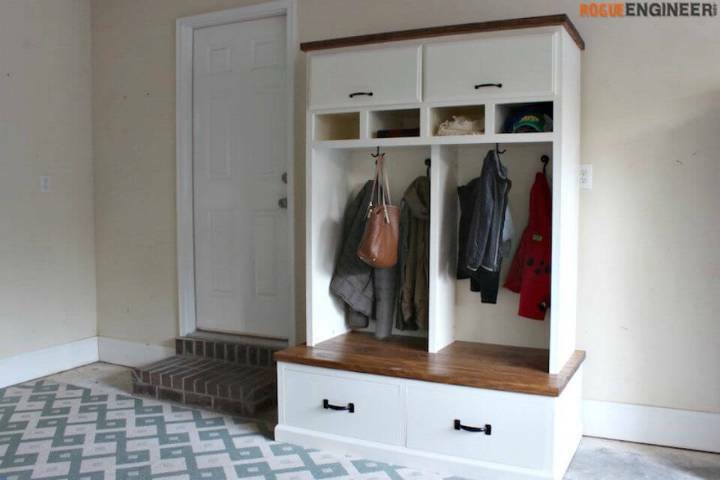 Bring a great key throw table to your entryway that may also come with various built-in shelves to help digest the entryway mess leaving behind a neat and clean entryway! 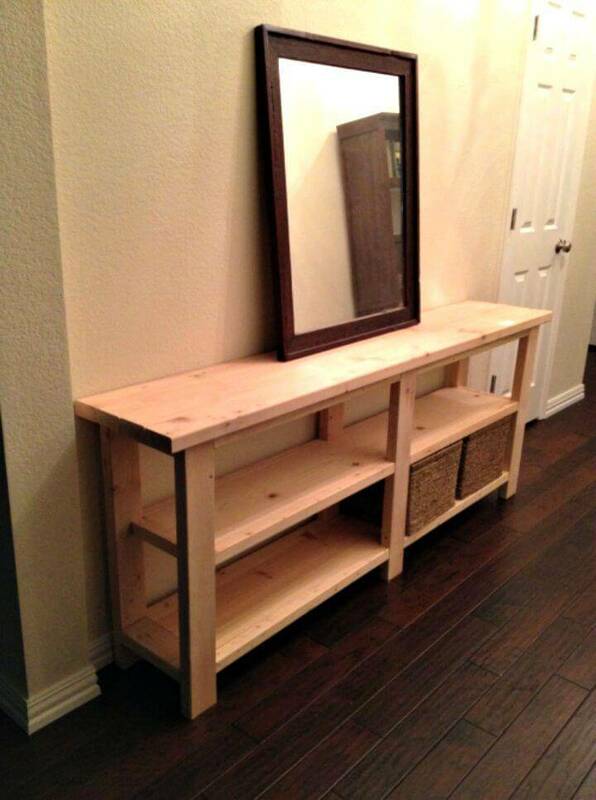 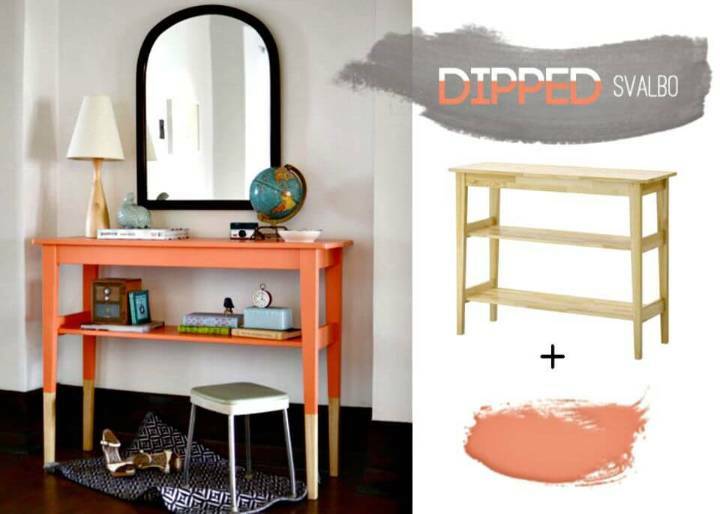 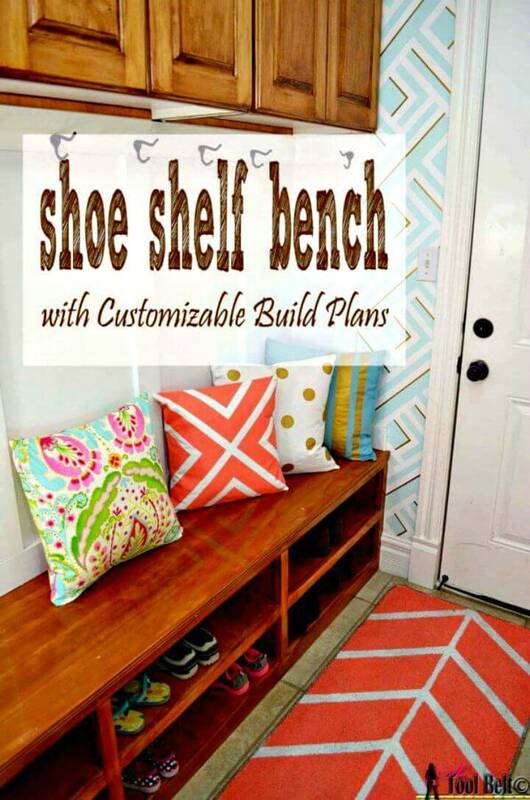 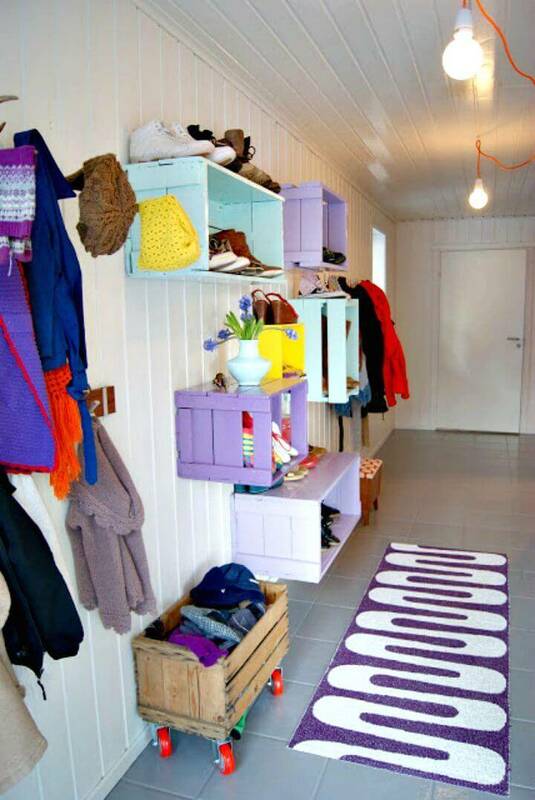 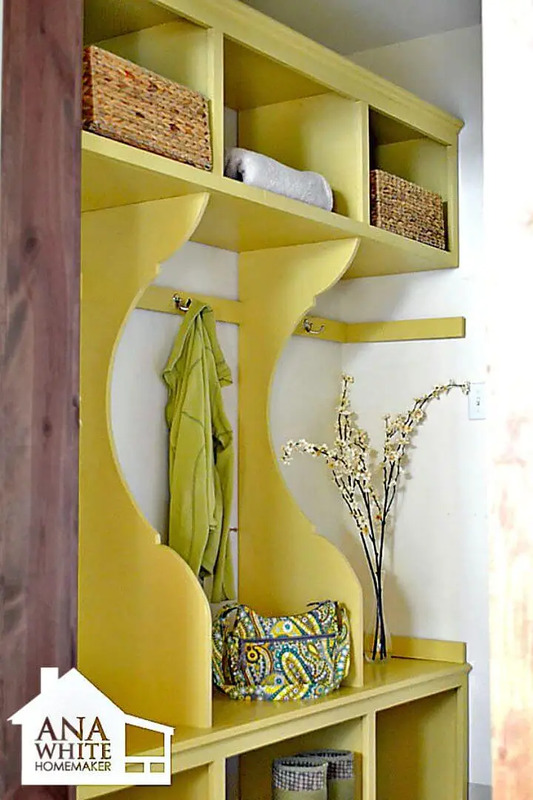 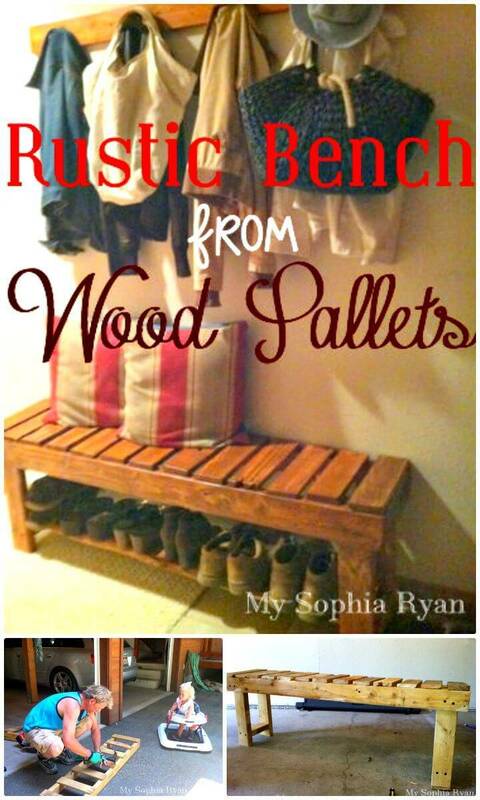 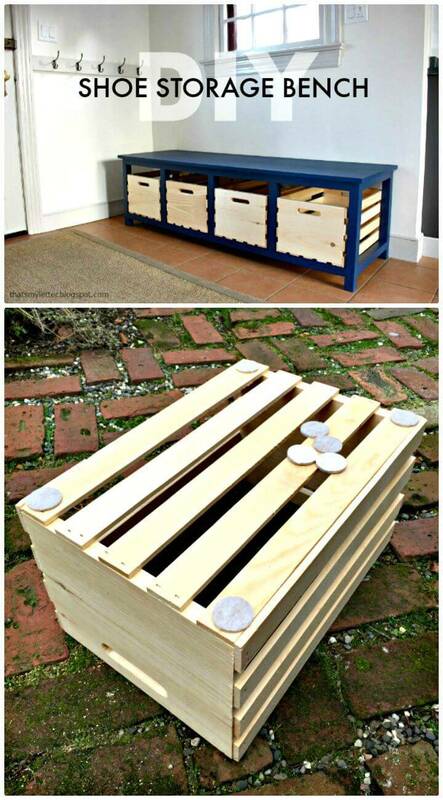 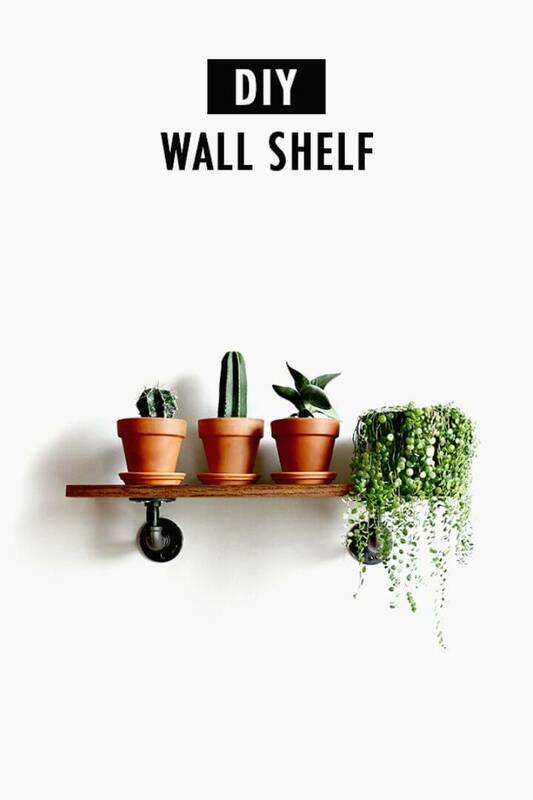 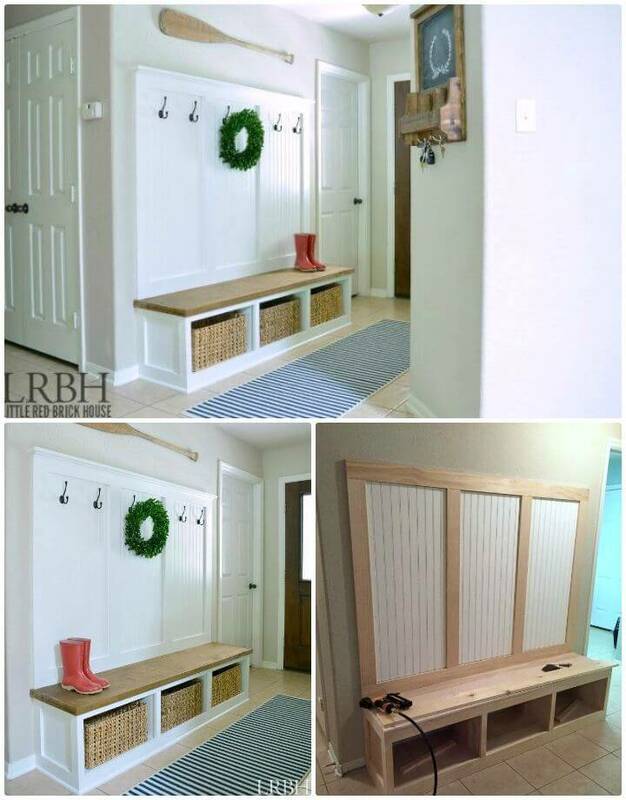 Organize the mudrooms by building the wall mounted shelving unit, get inspired by the sample project given below! 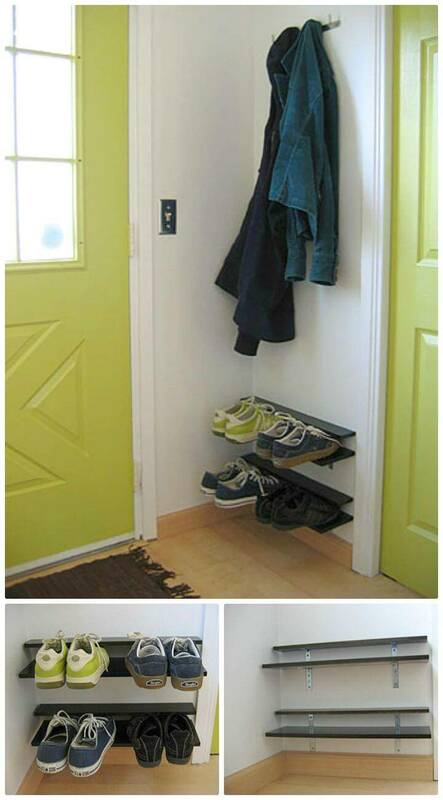 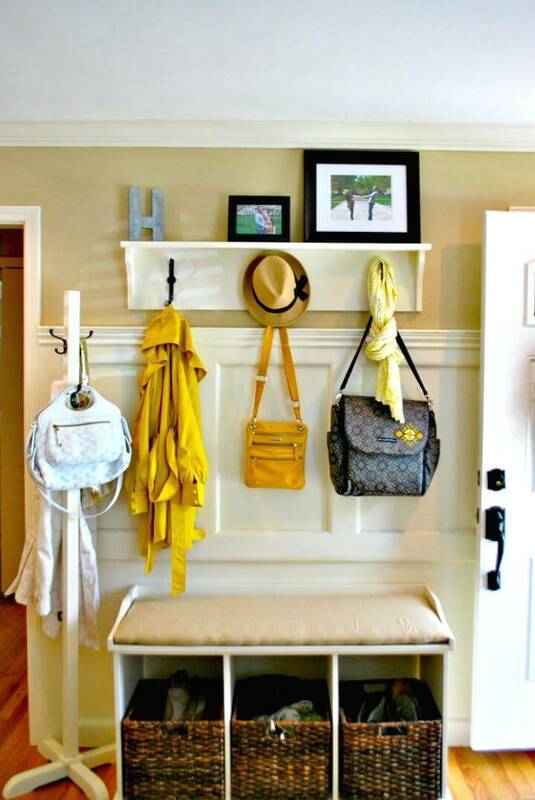 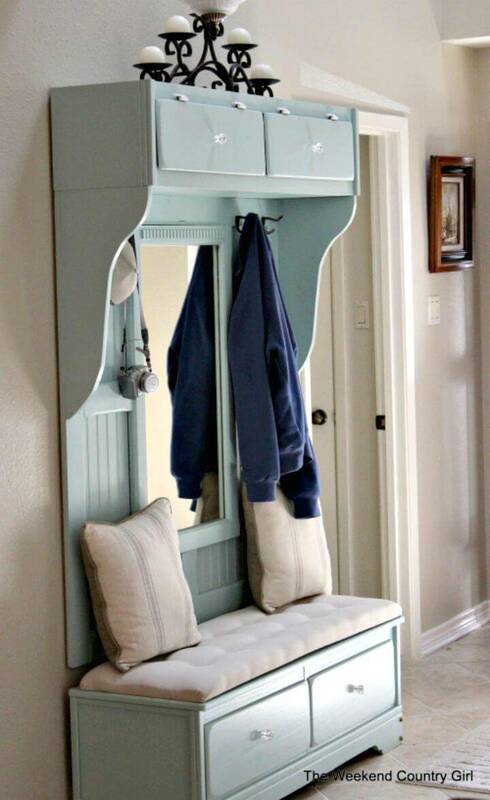 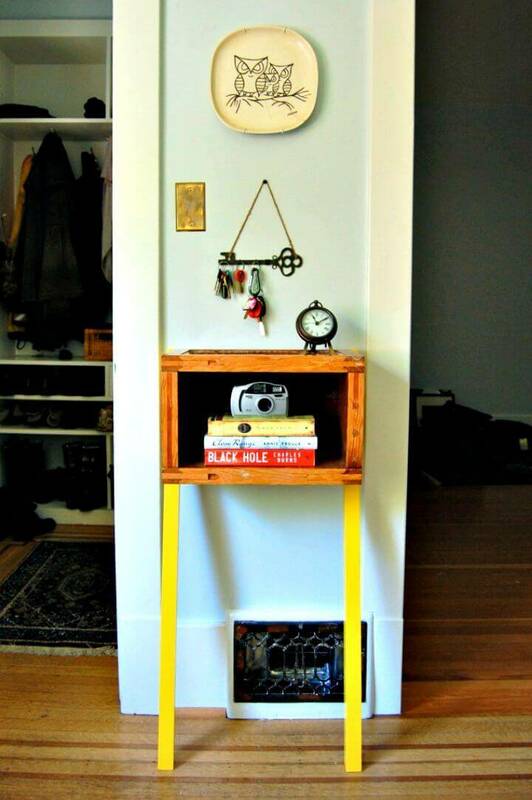 Establish sophistication to your entrance also by installing some coat racks and miniature shoe cabinet there! 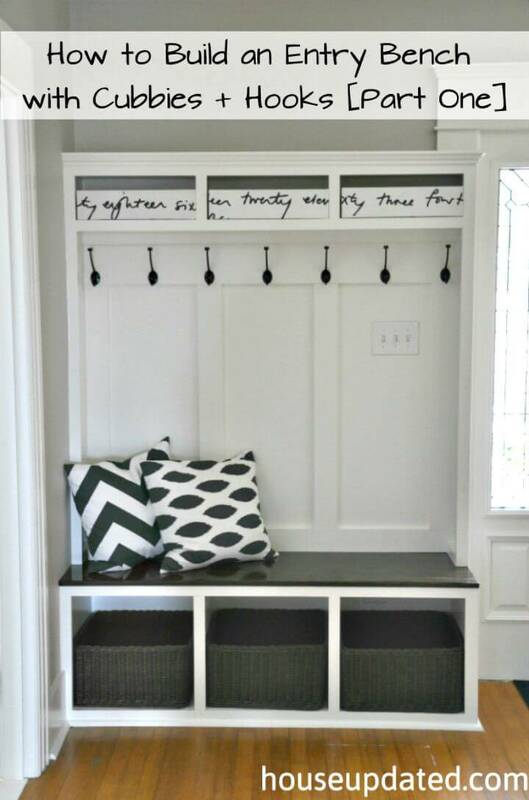 Lift up the mood of your mudroom also by building custom hall trees that may come with attached DIY benches and shoe racks! 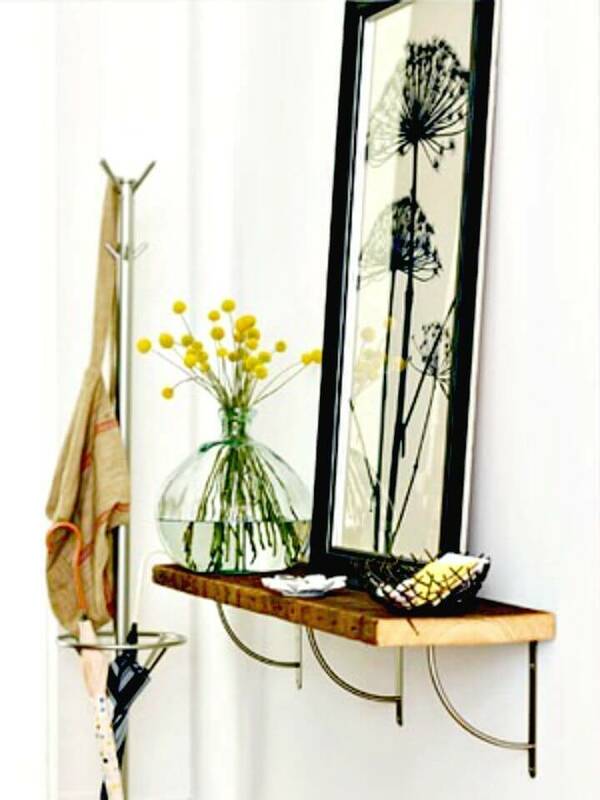 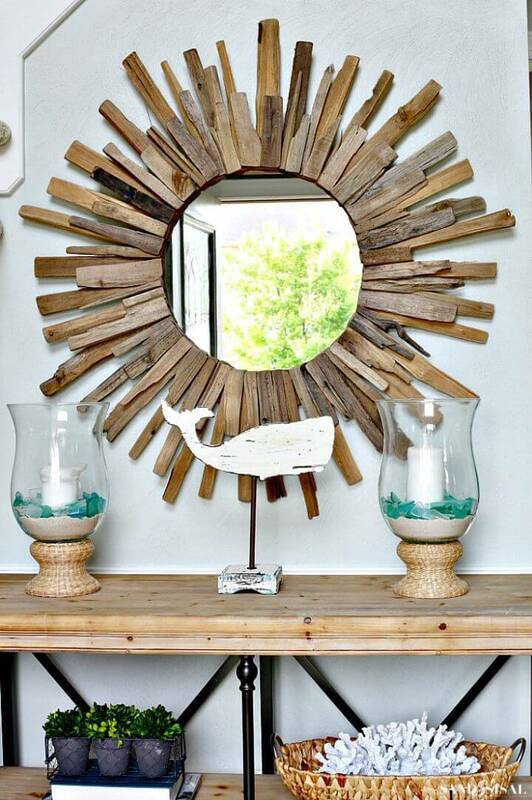 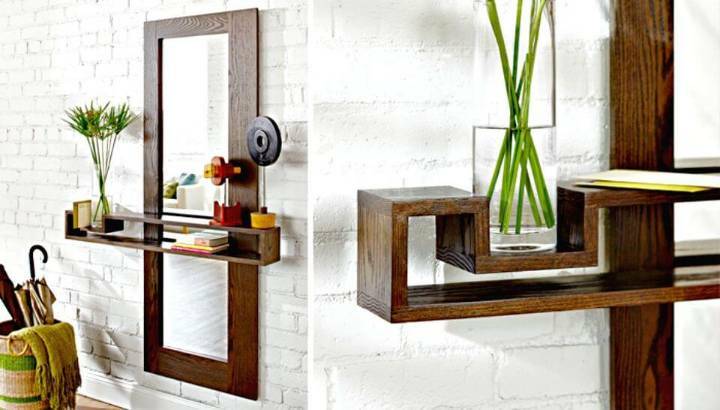 Bring a modern vibe also to your entryway by installing a mirrored organizer to entryway wall, if you are willing for a rustic fashion statement then an antler coat rack would rock! 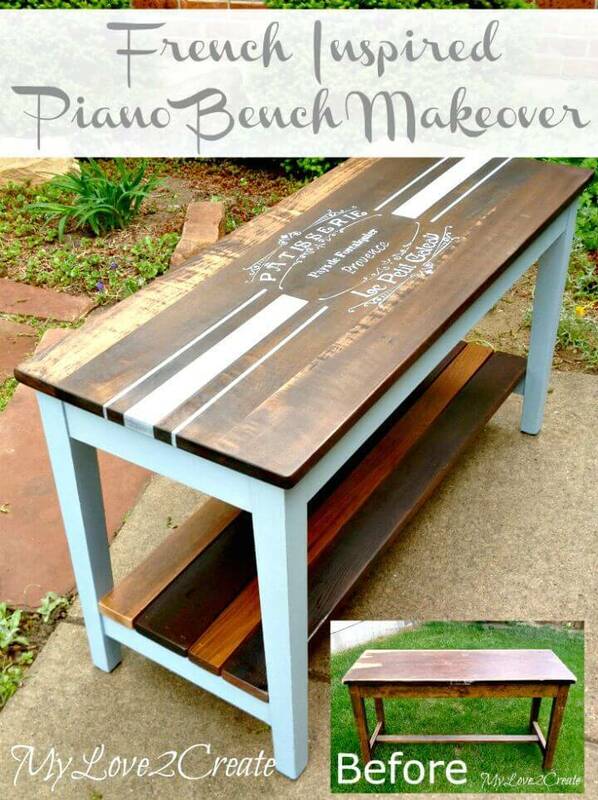 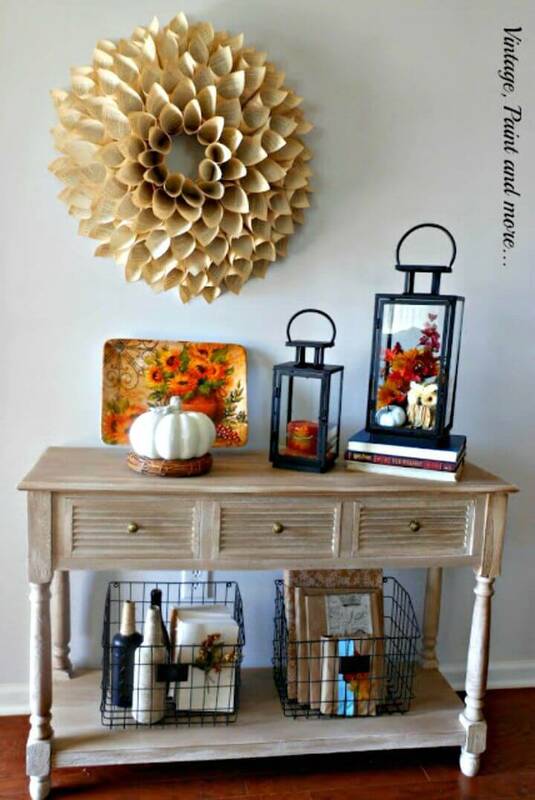 Get inspired by the given sample projects that will put you in high amazement! 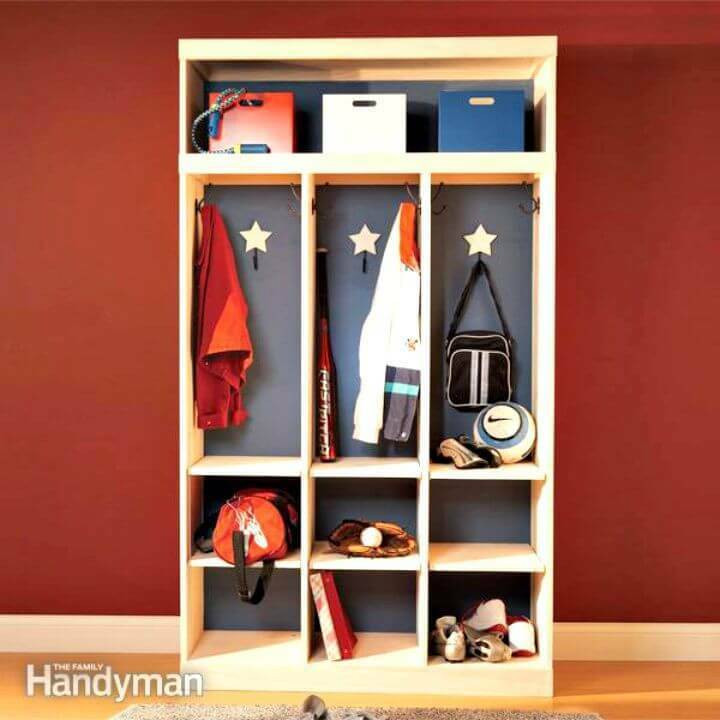 Build custom entryway storage unit like a closet that may come with sliding doors, and this will be a modern entryway decorative treatment! 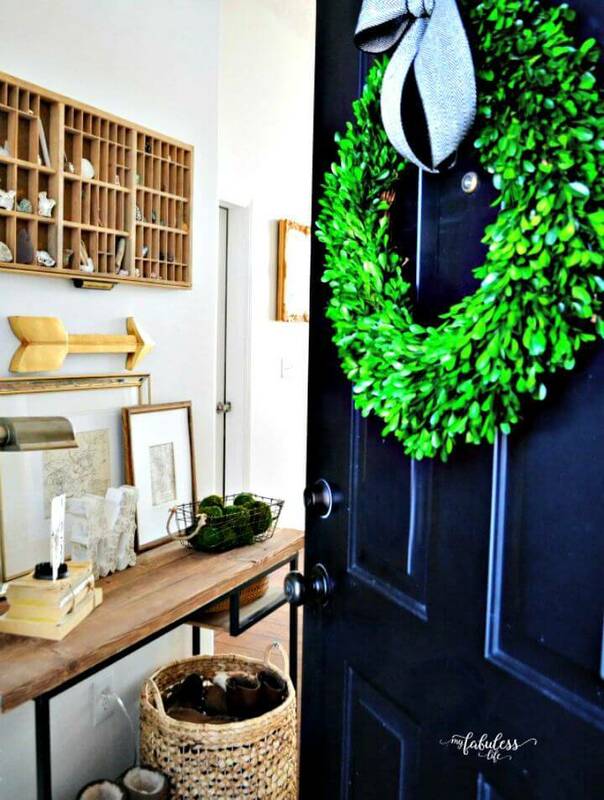 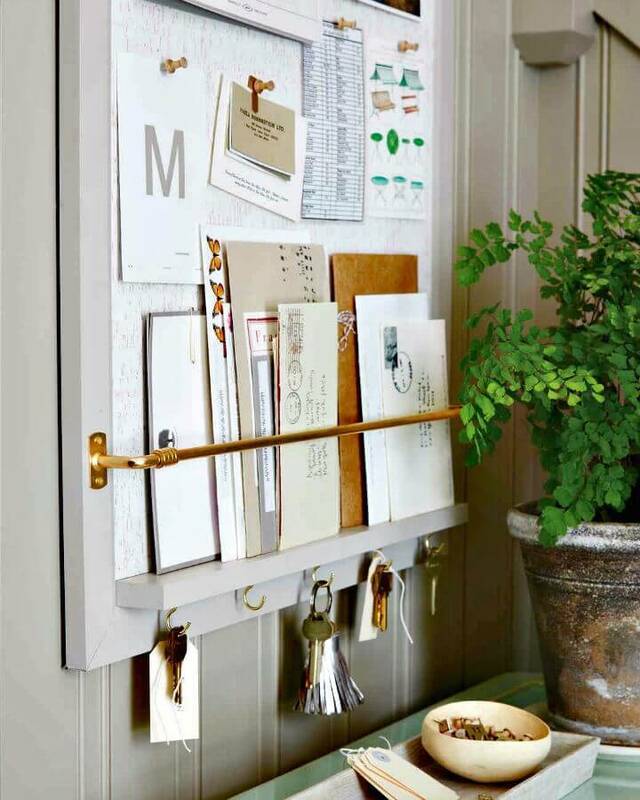 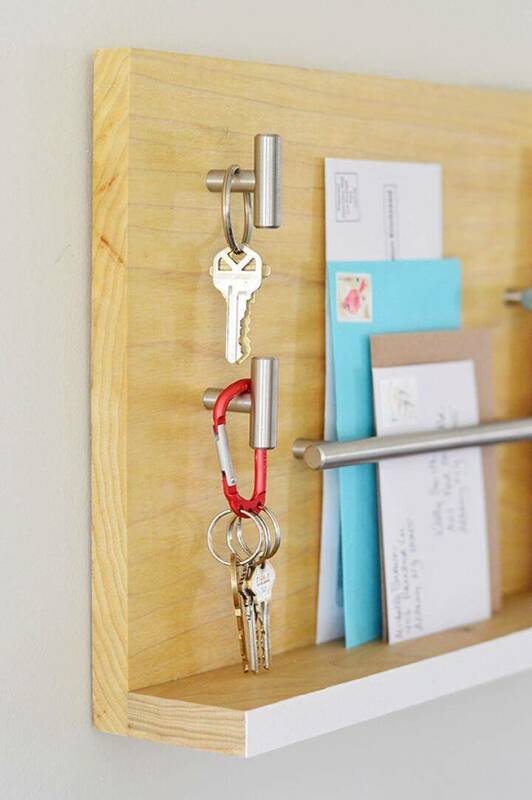 Bring both a functional and decorative statement to your entryway by installing there a crisscross rack that can hot all from your hats to keys, just peek into the details of given sample project! 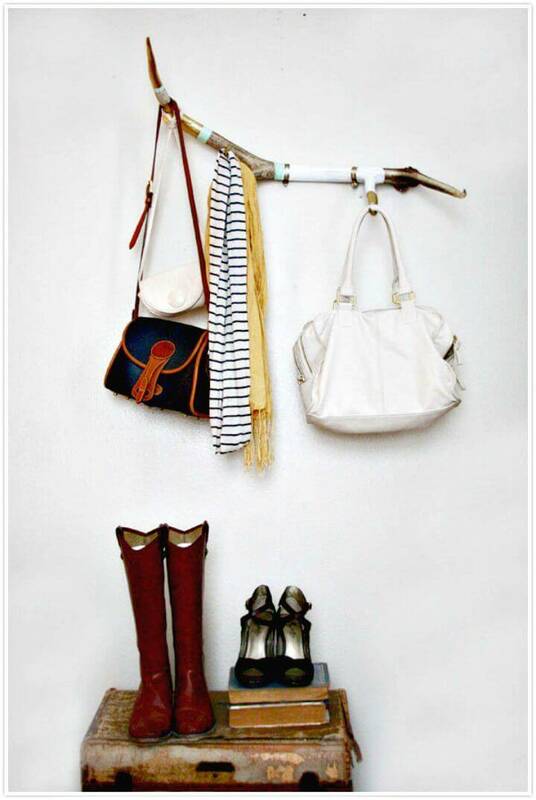 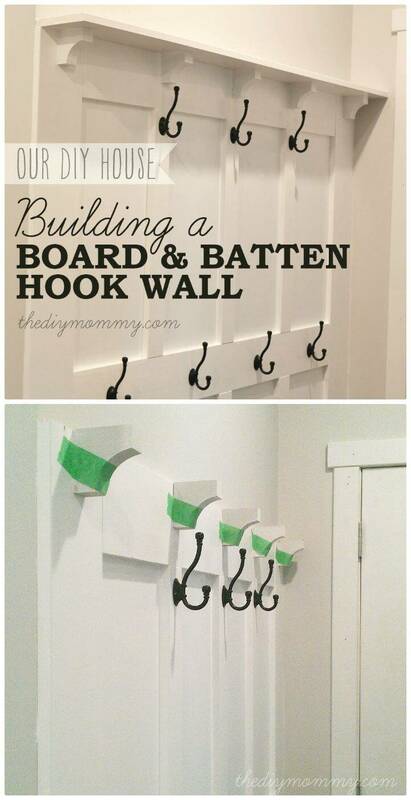 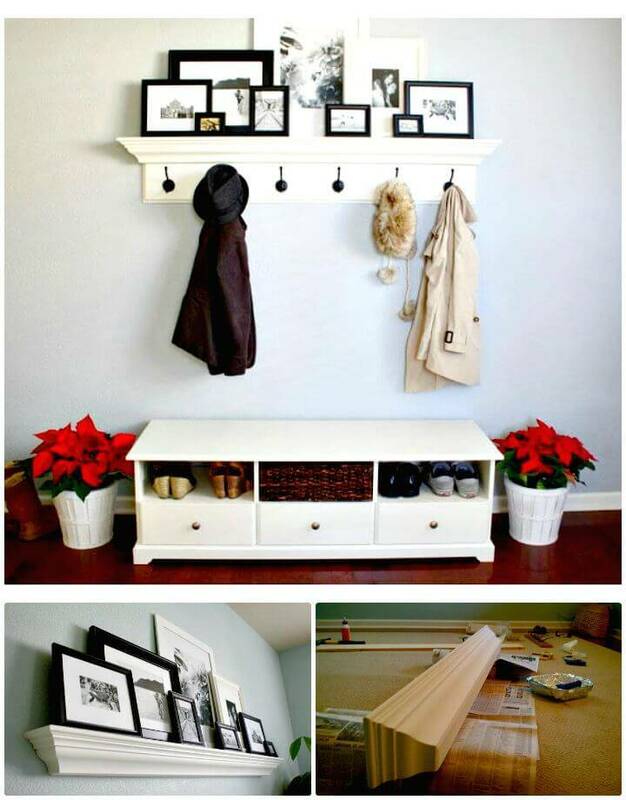 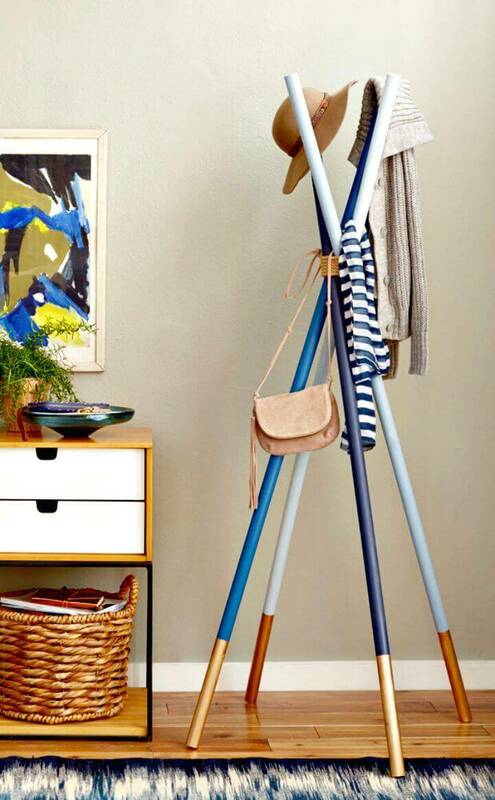 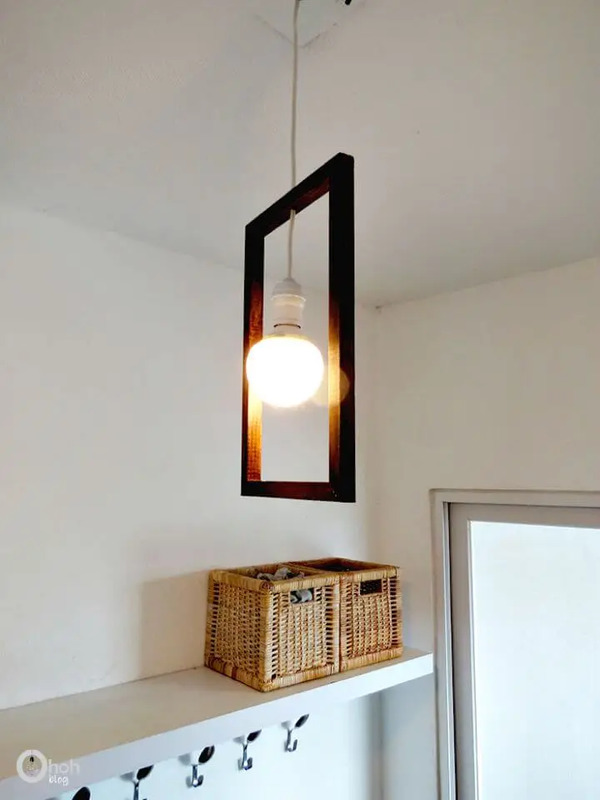 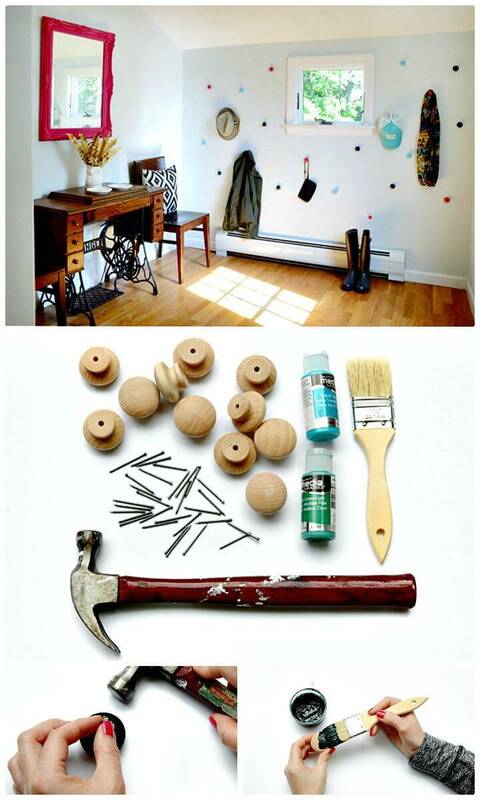 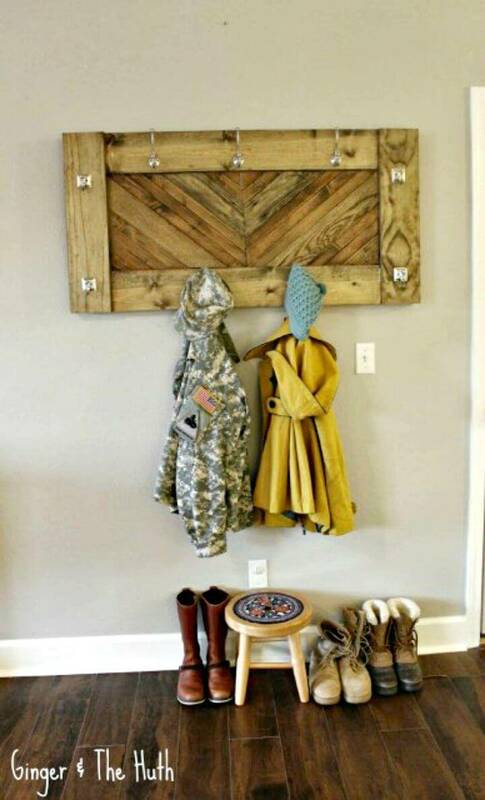 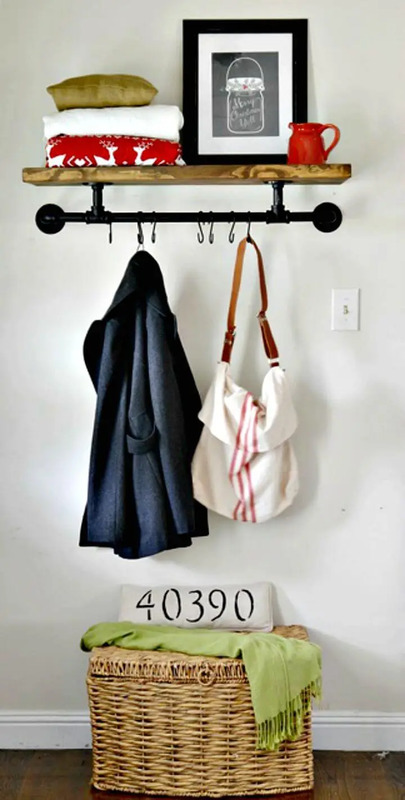 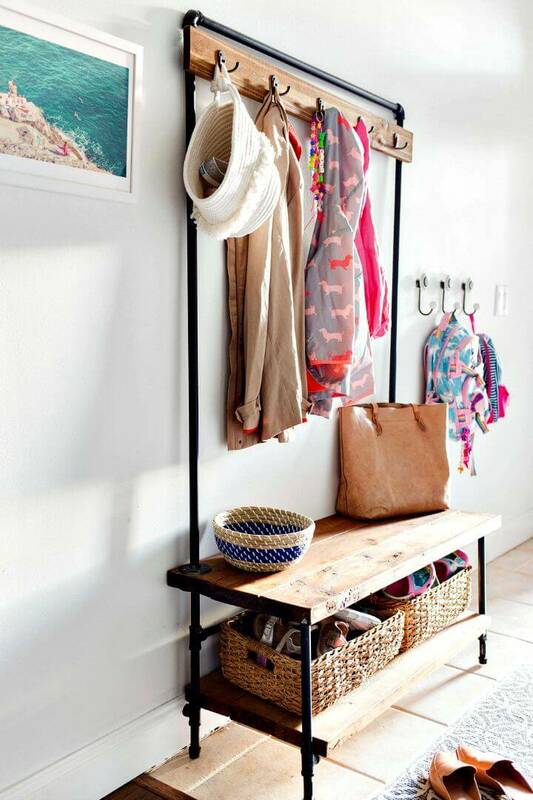 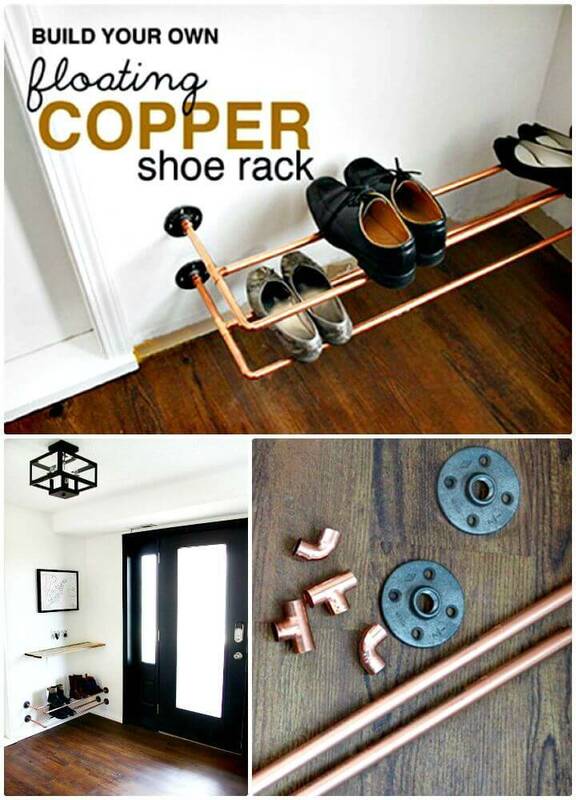 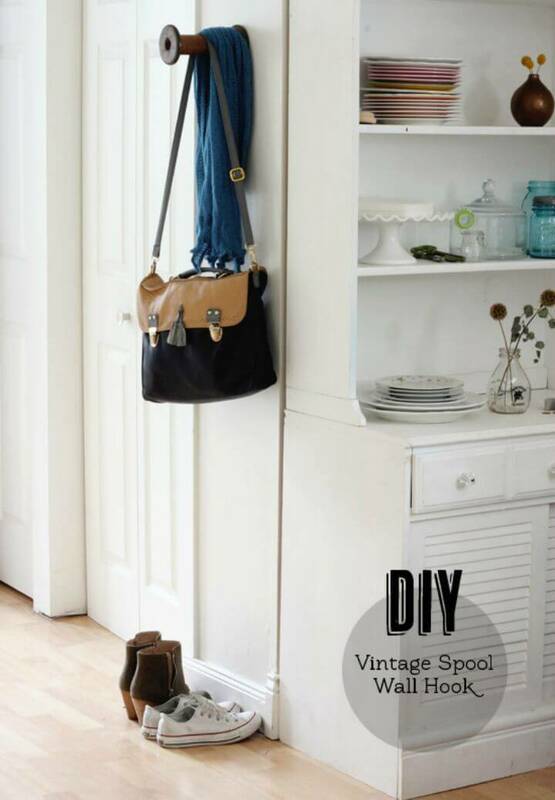 Install also the DIY curtain rods to your entryway wall that may come with S-hooks to hang different of your items like coats, handbags, and backpacks, next you can also install the custom shelves and boxes for more cool storage option, get inspired of the sample project given below! 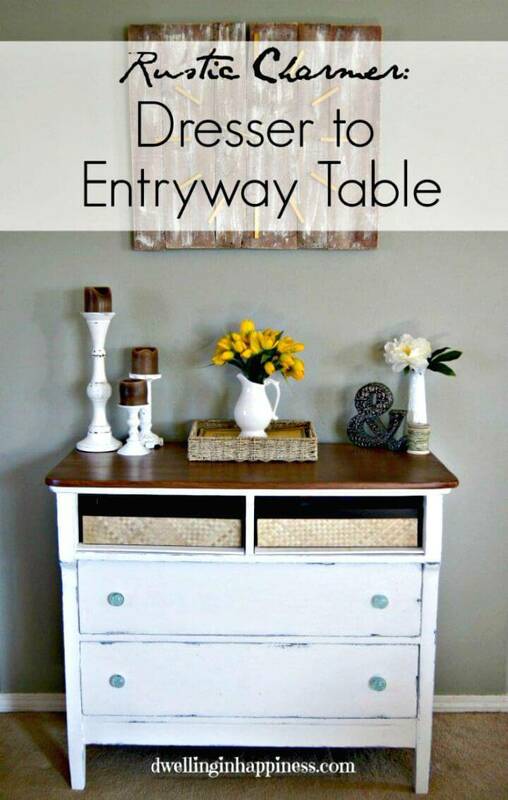 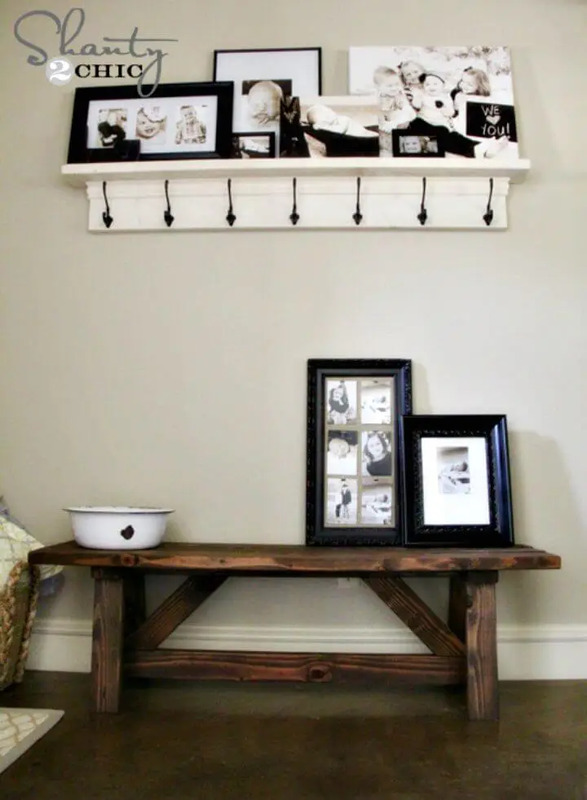 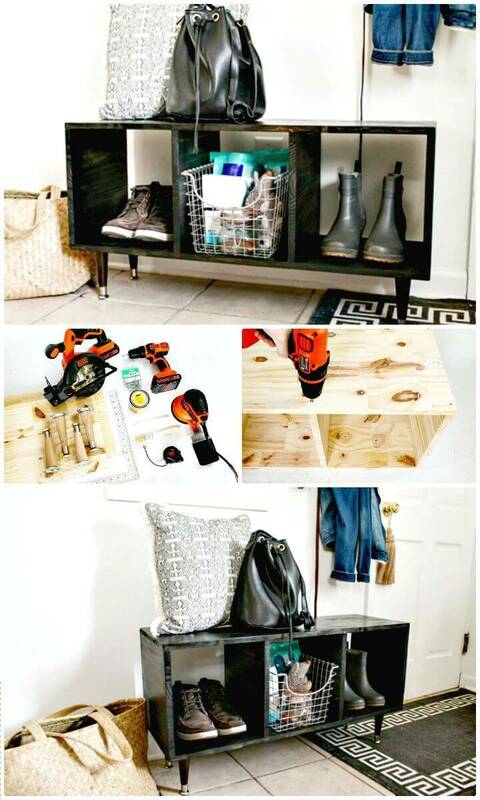 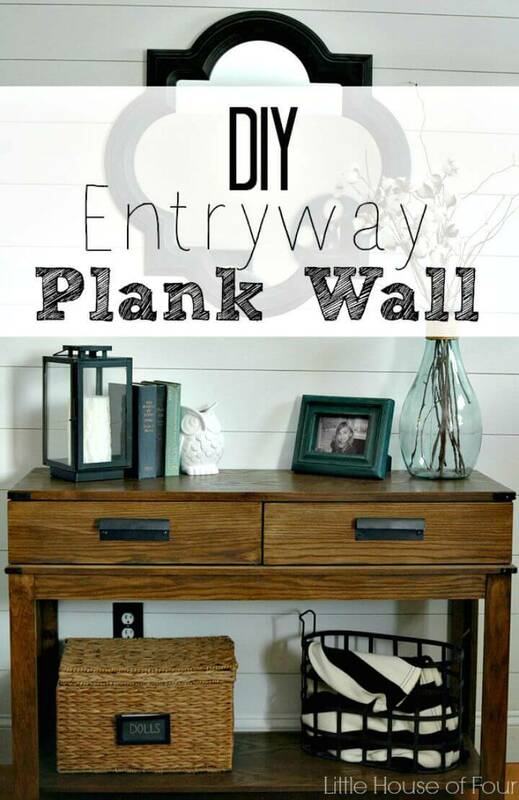 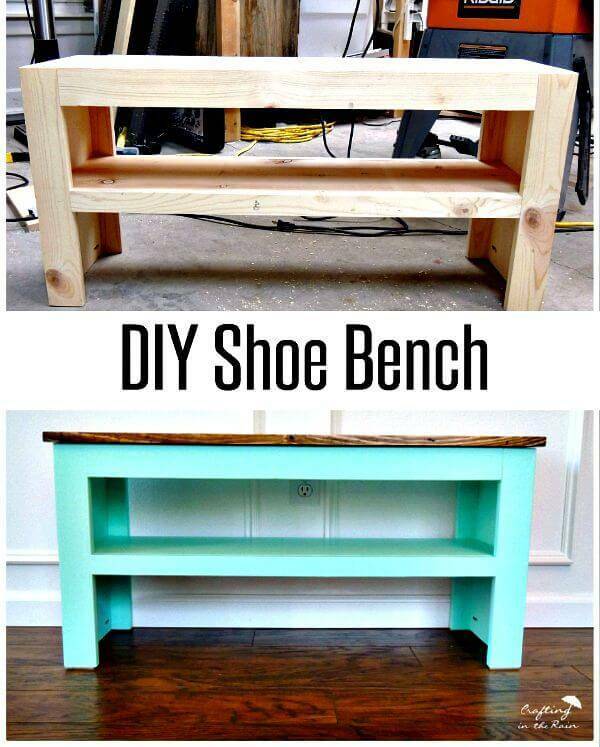 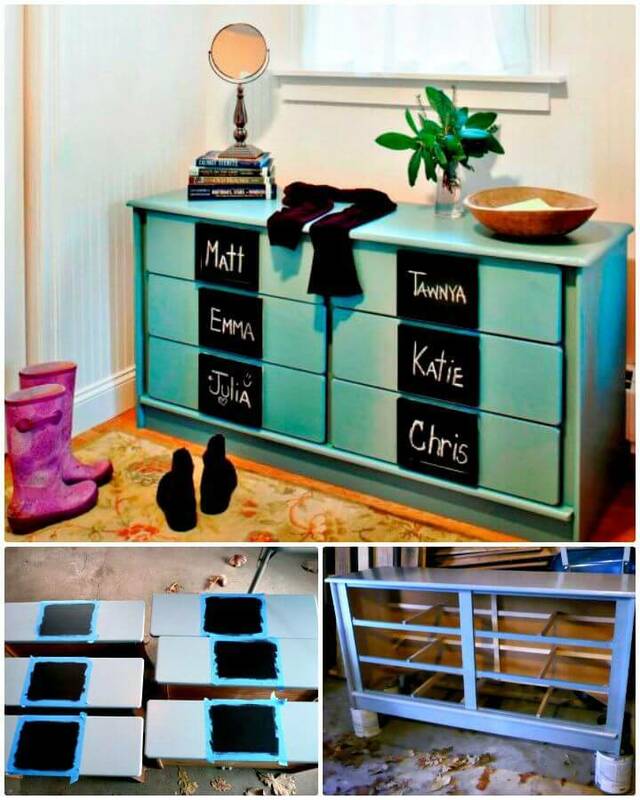 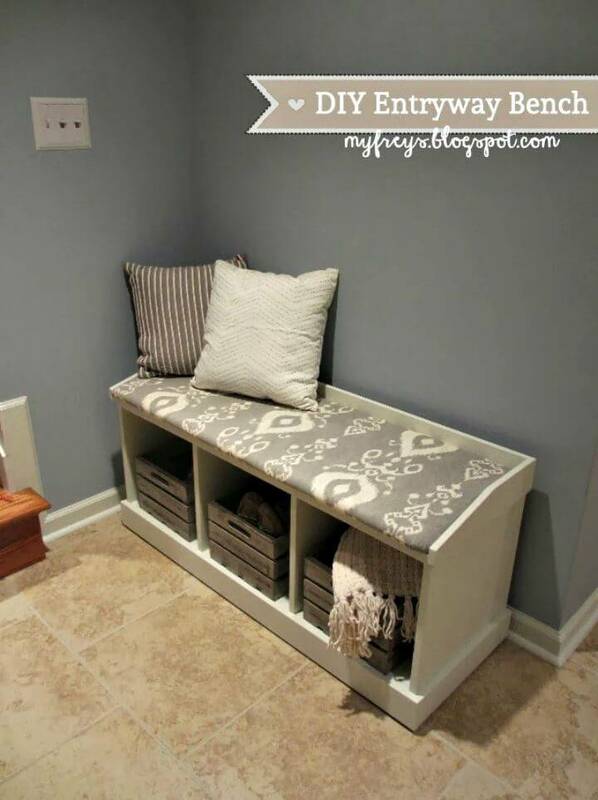 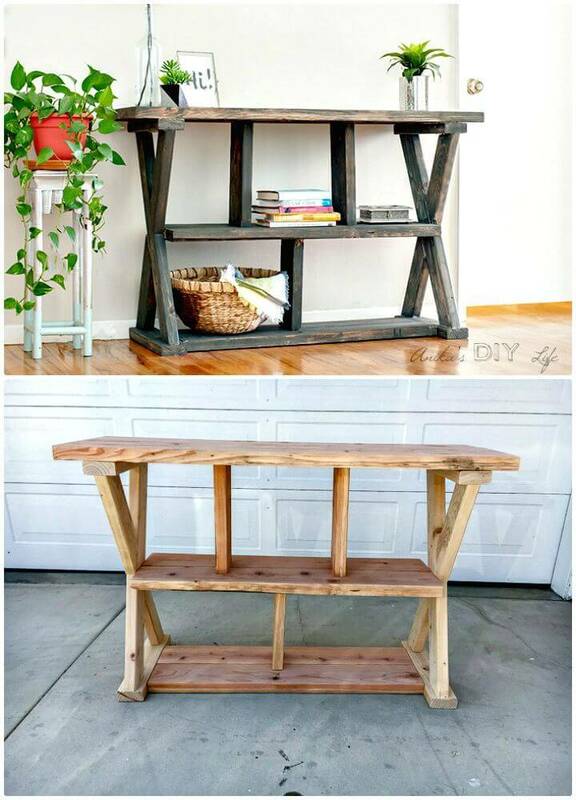 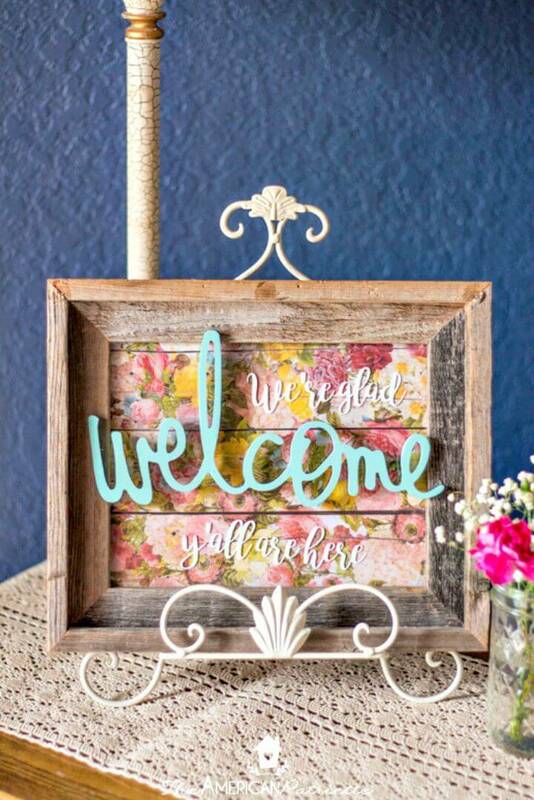 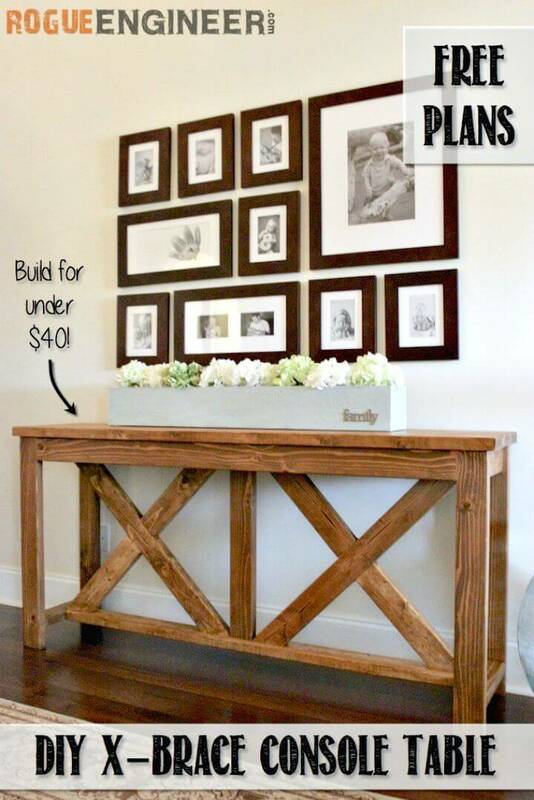 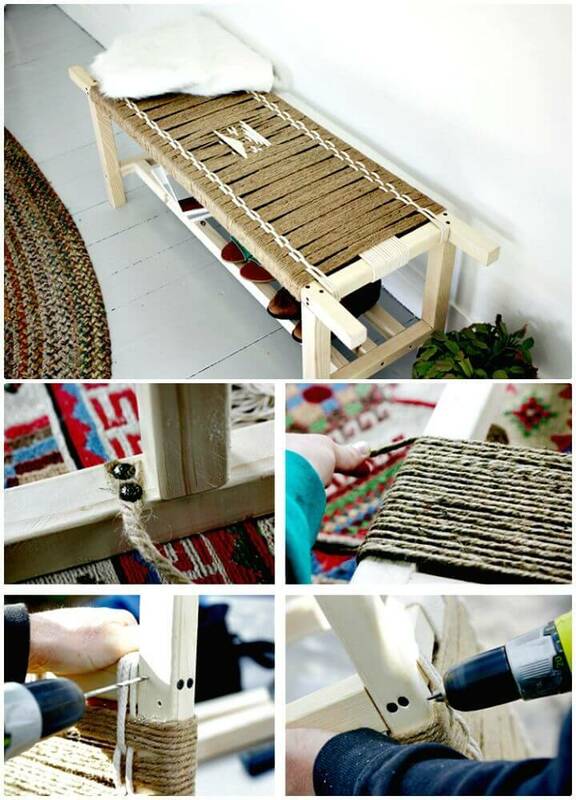 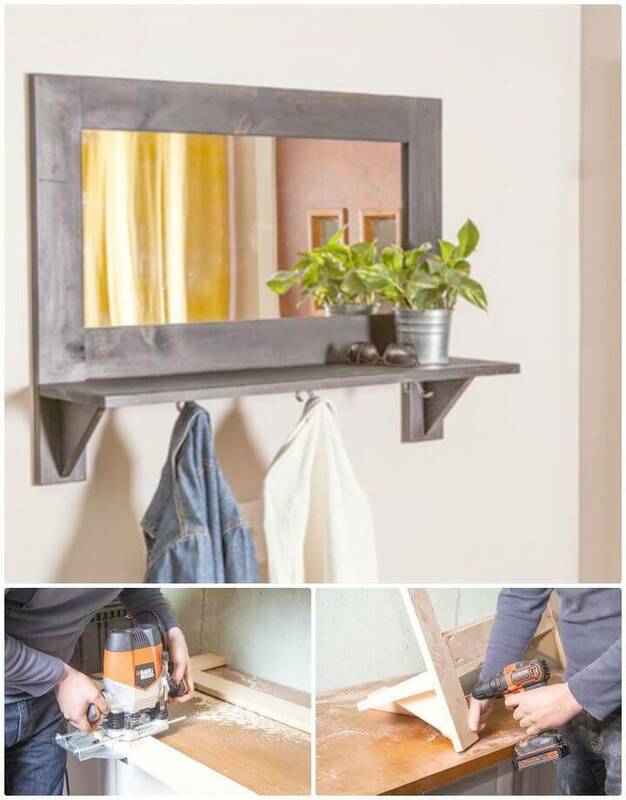 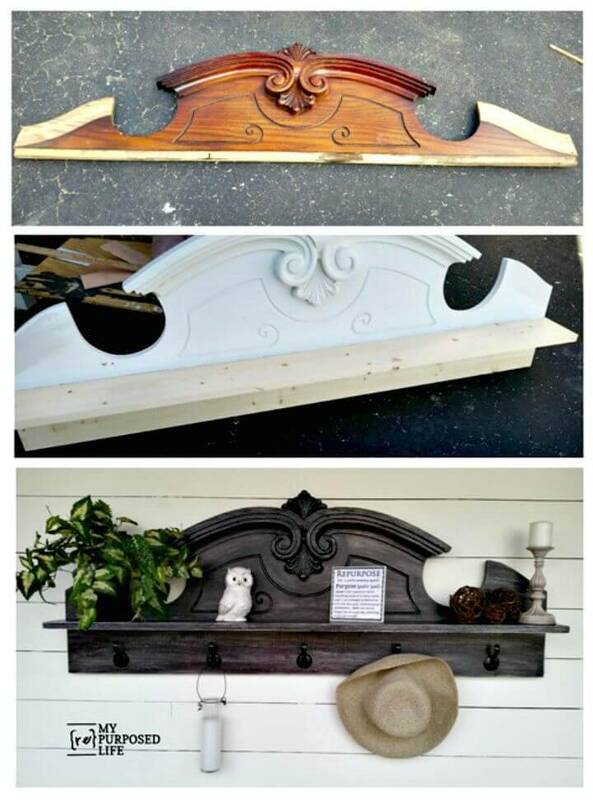 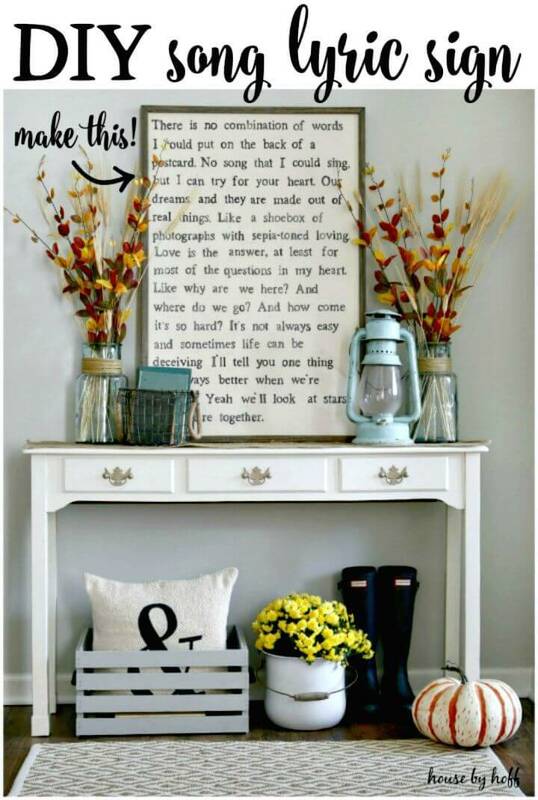 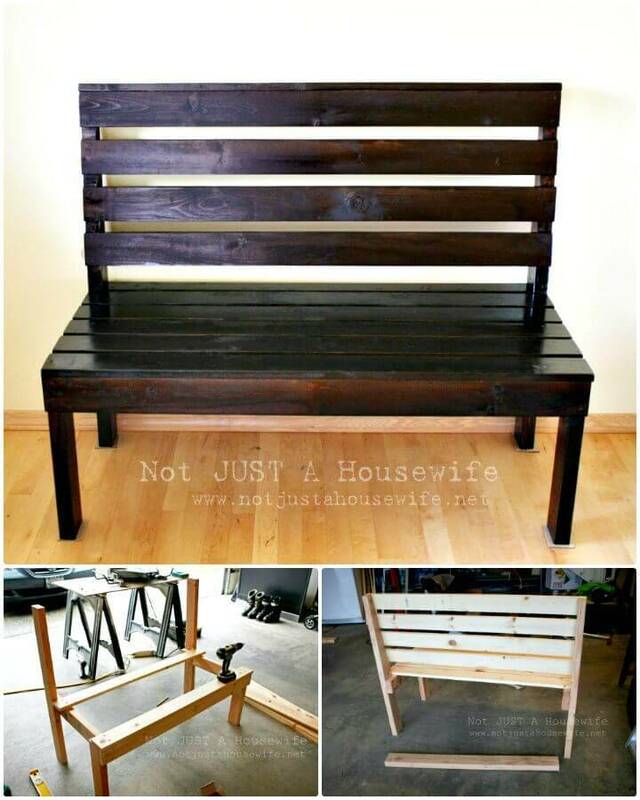 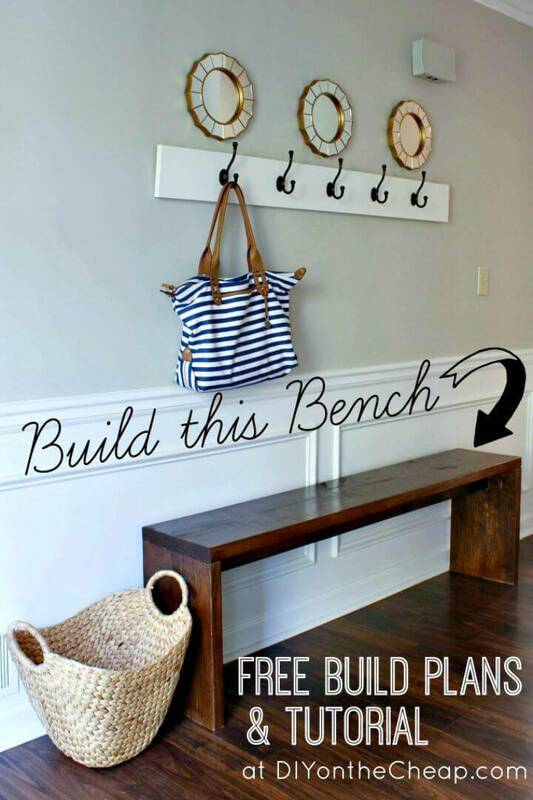 Check out tons of more DIY entryway ideas by taking a visit to the entire collection!To open further instructions and details for each entryway idea given in the list, just browse the given source links that will take you to the free tutorial and guides for that particular project!